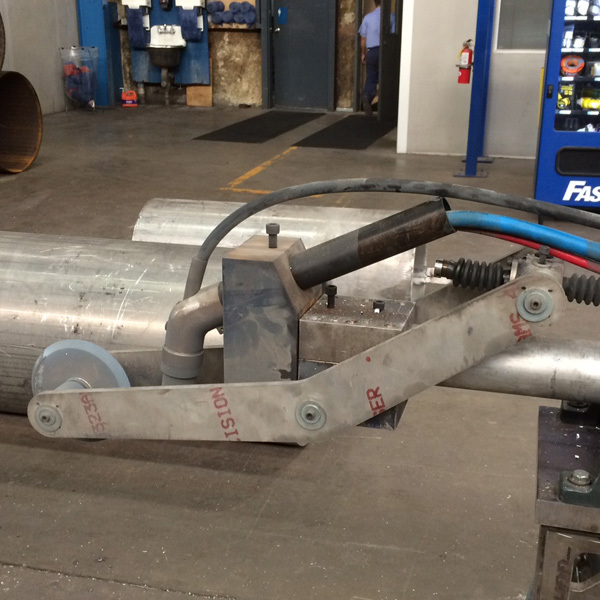 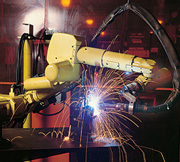 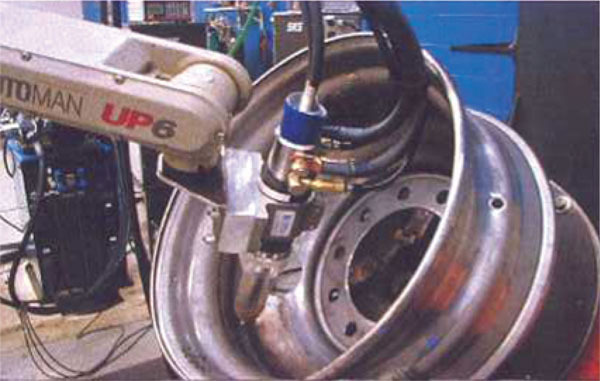 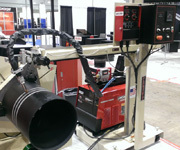 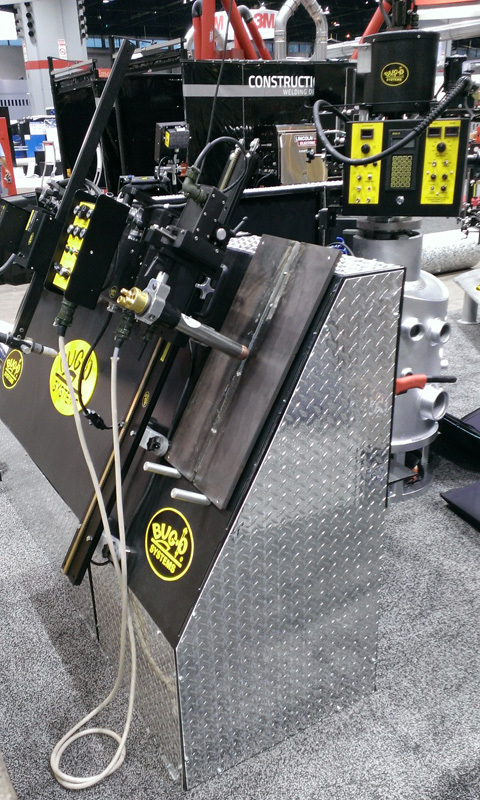 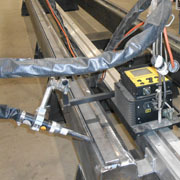 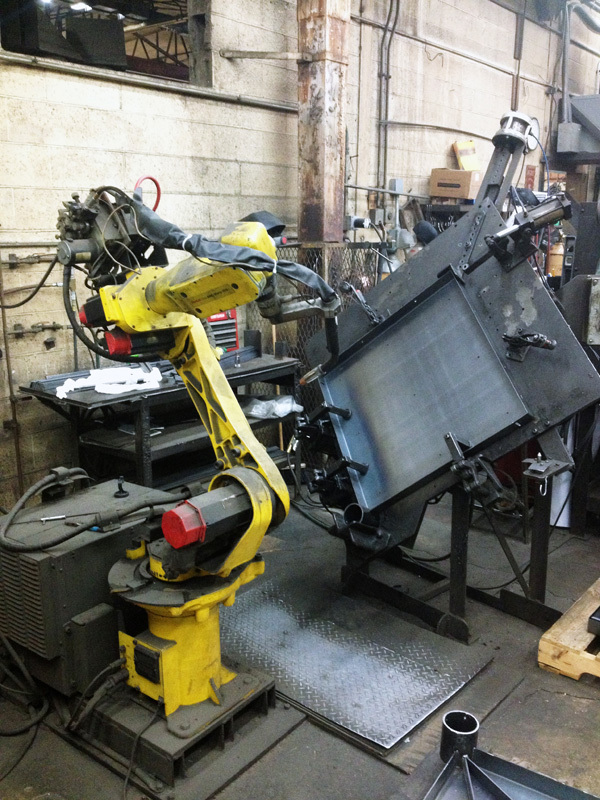 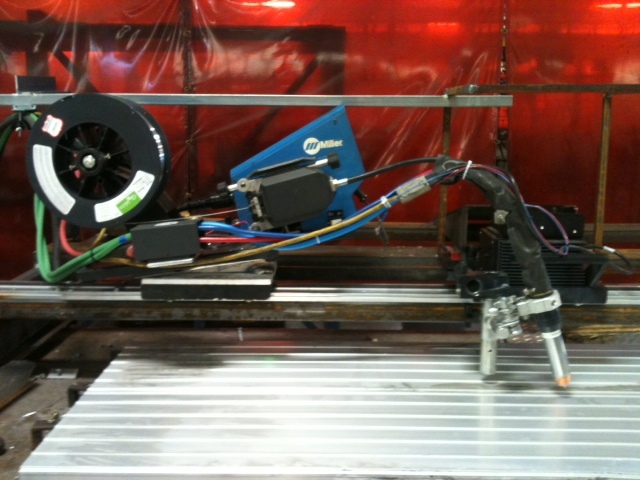 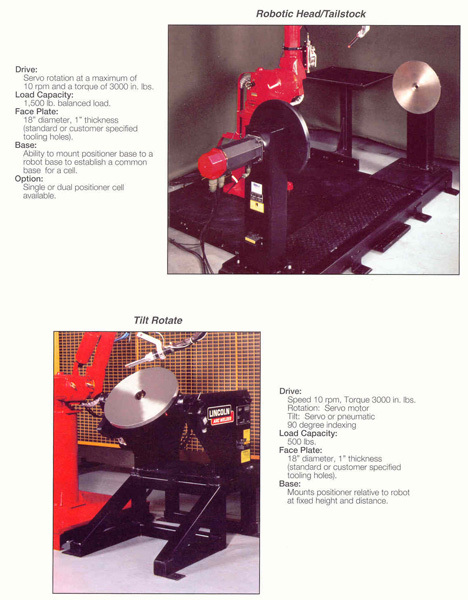 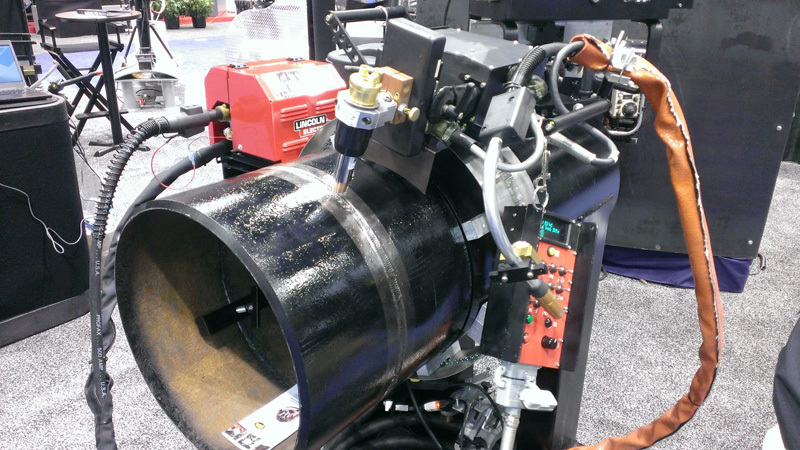 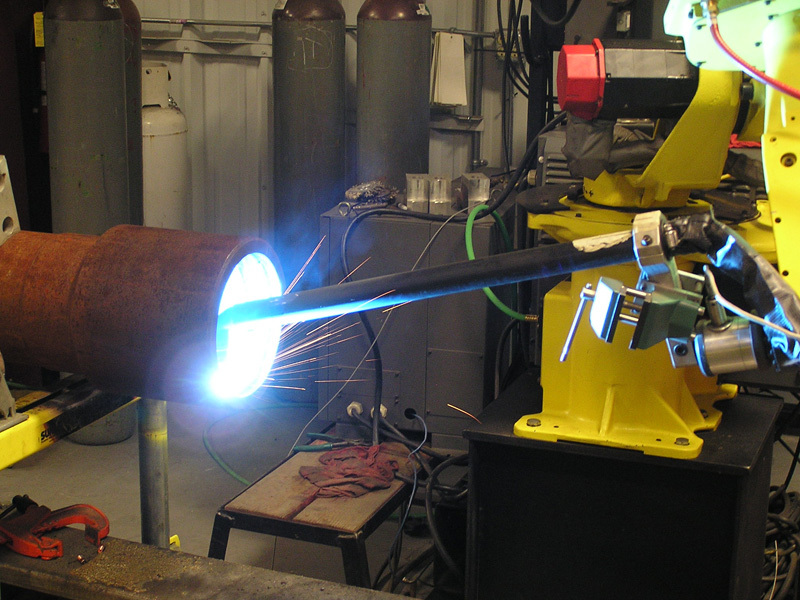 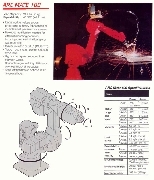 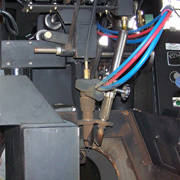 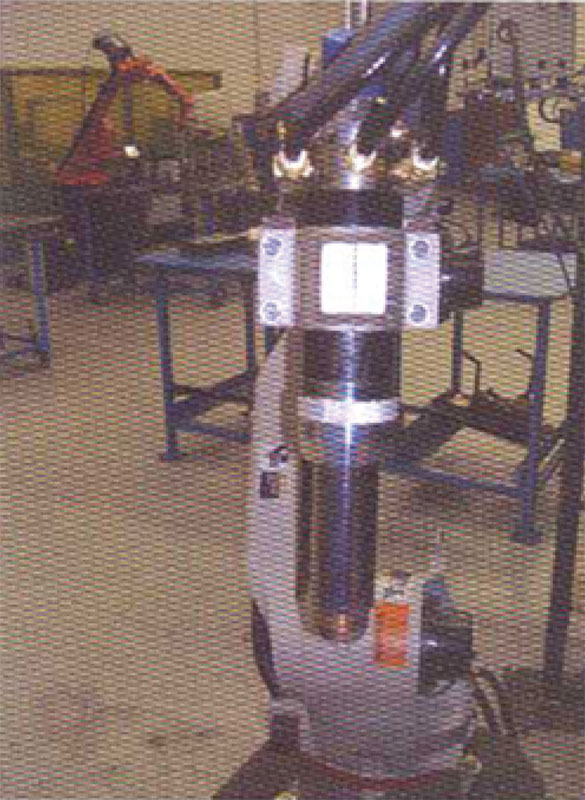 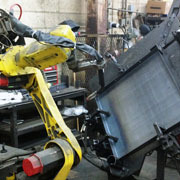 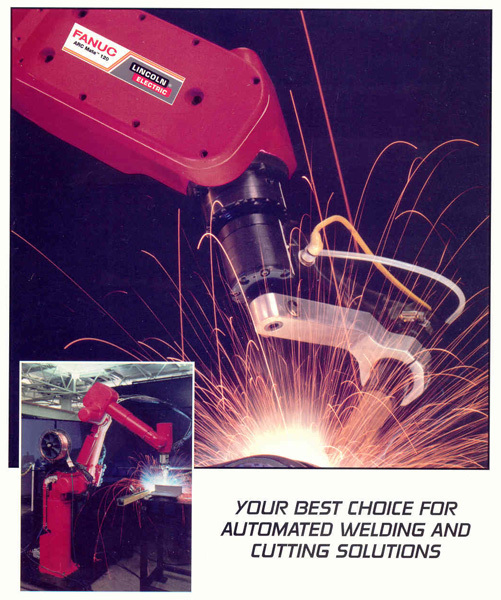 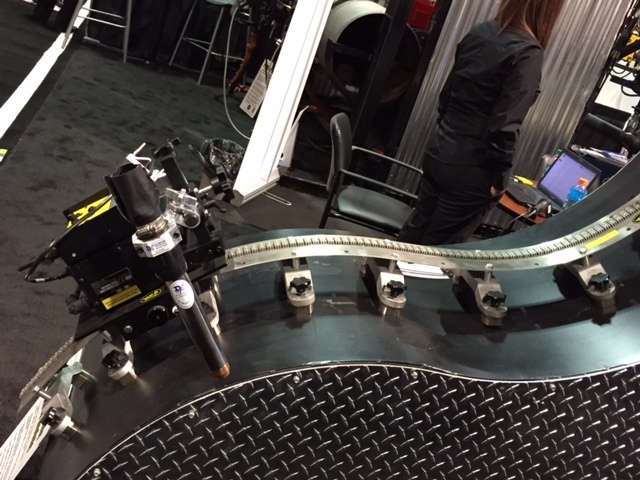 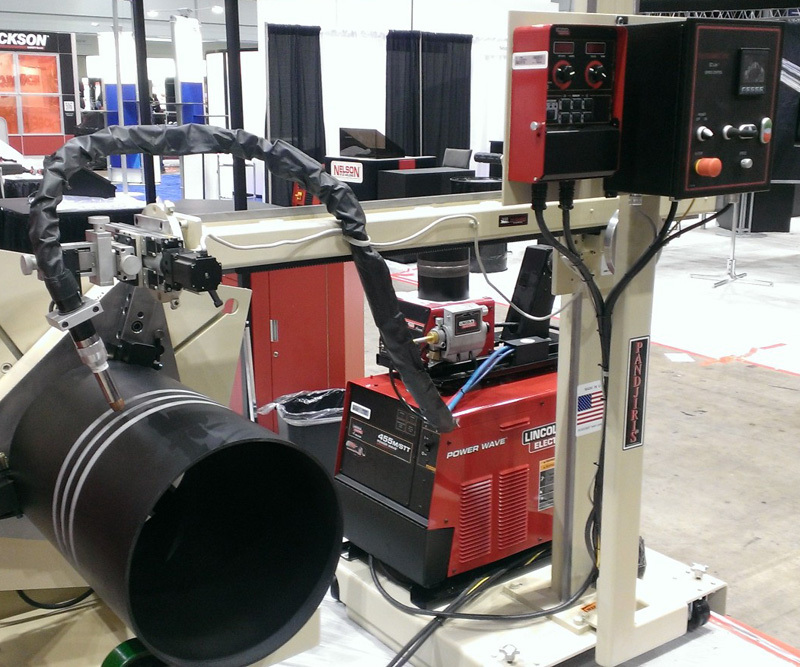 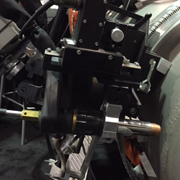 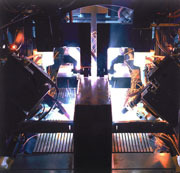 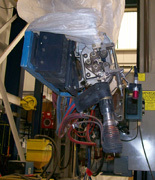 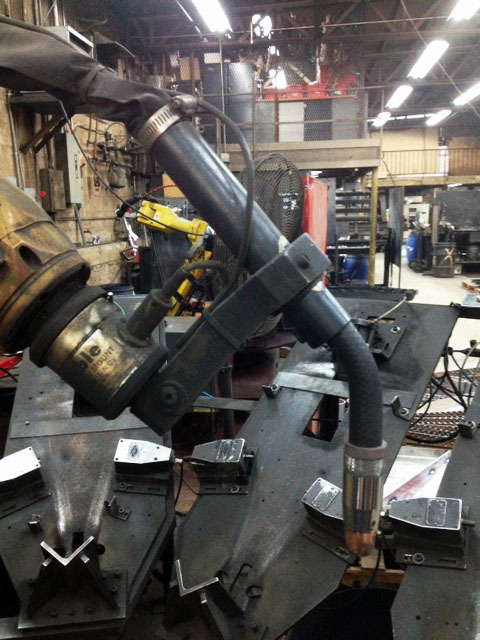 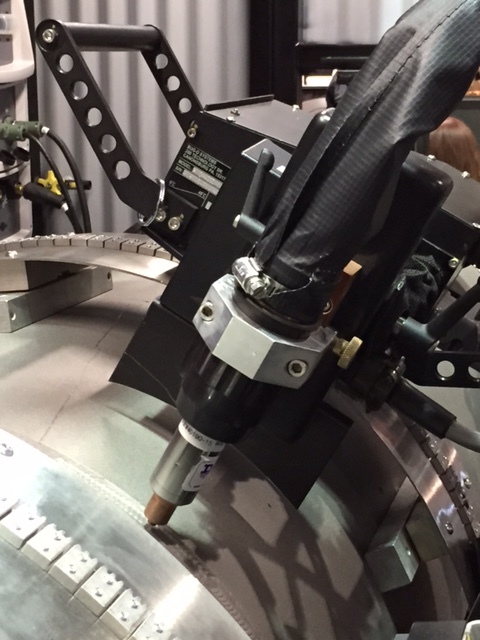 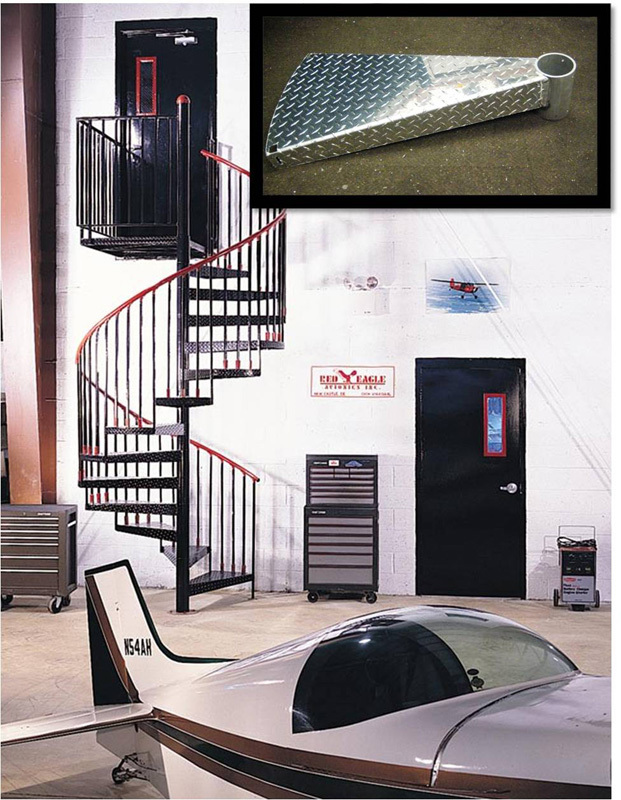 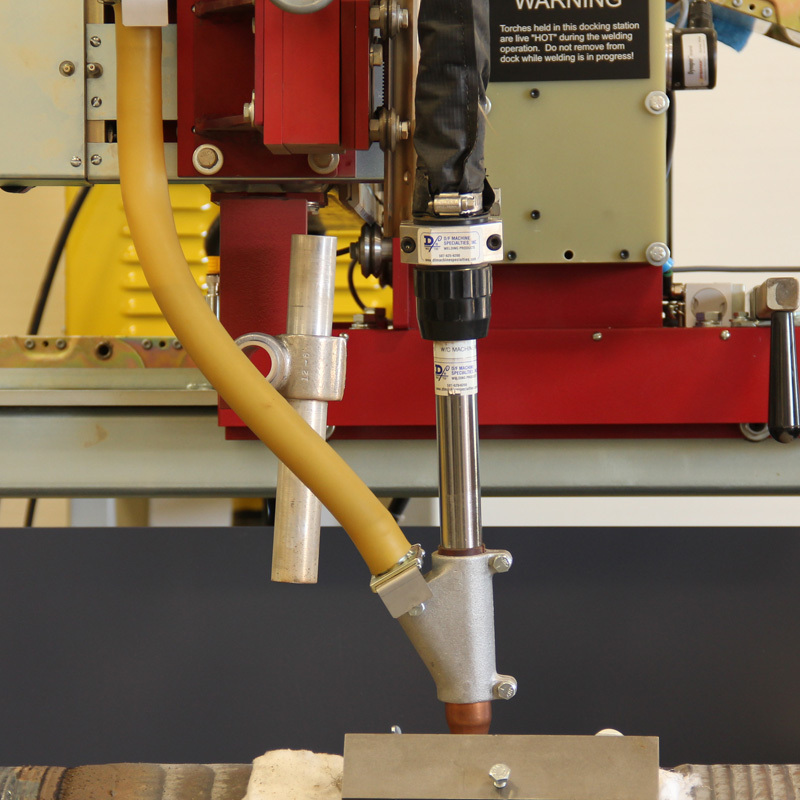 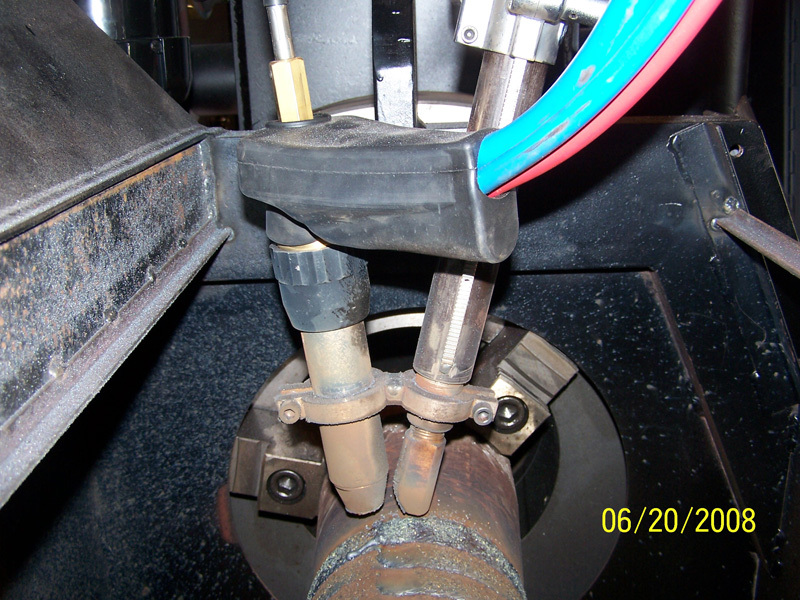 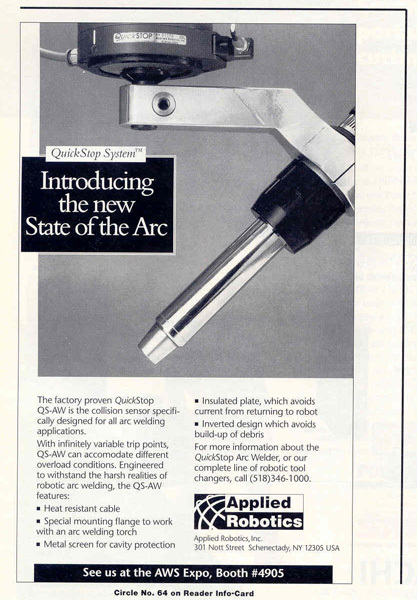 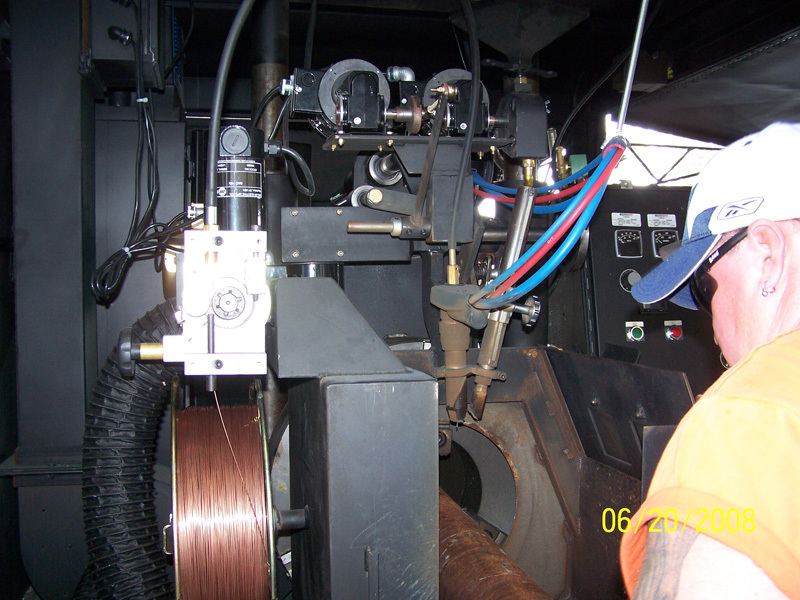 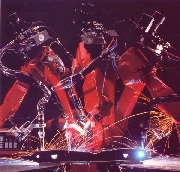 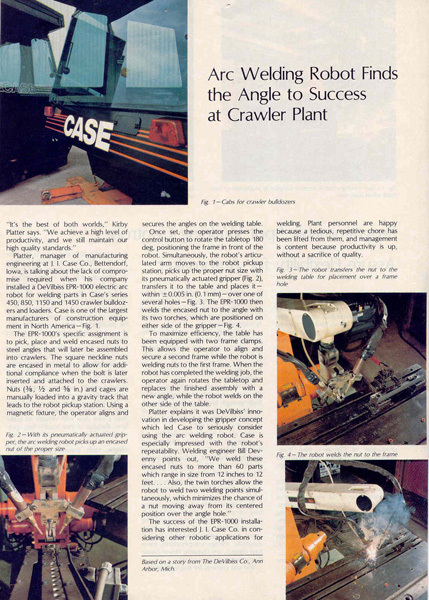 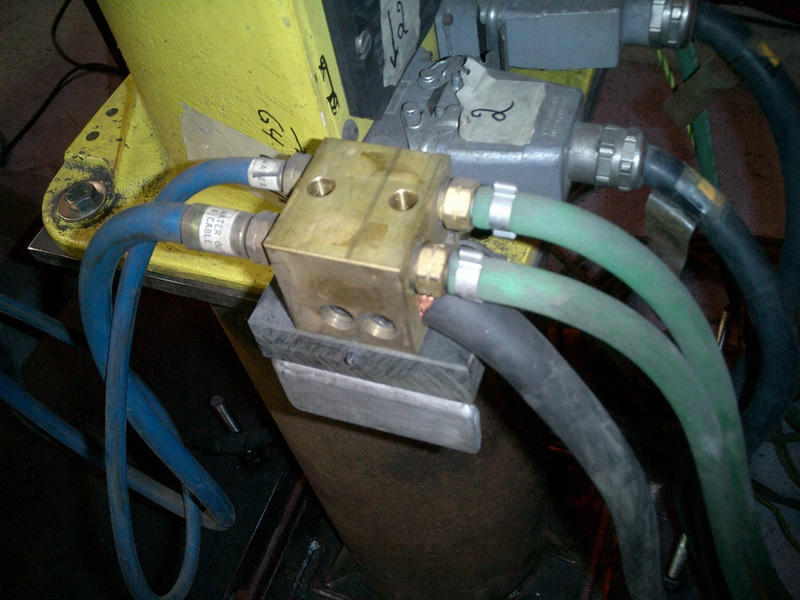 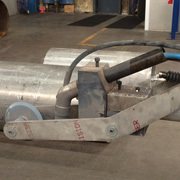 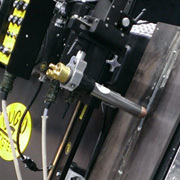 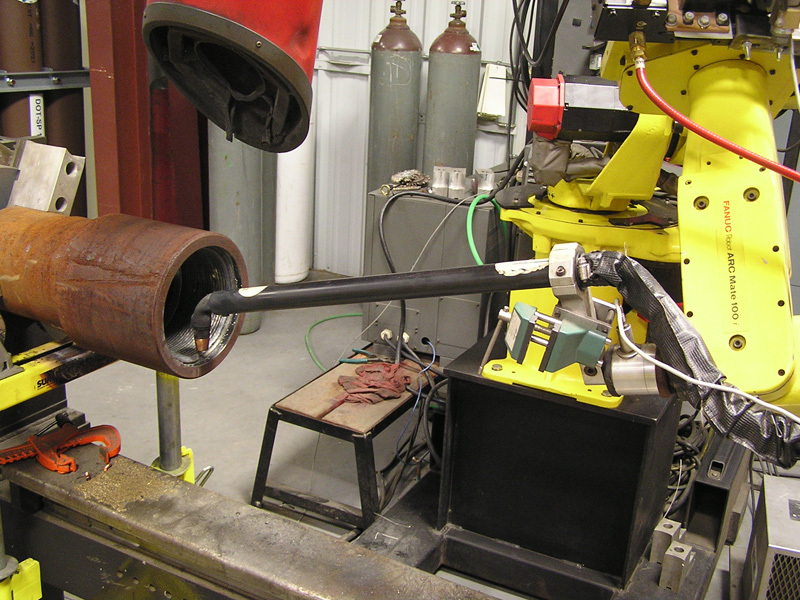 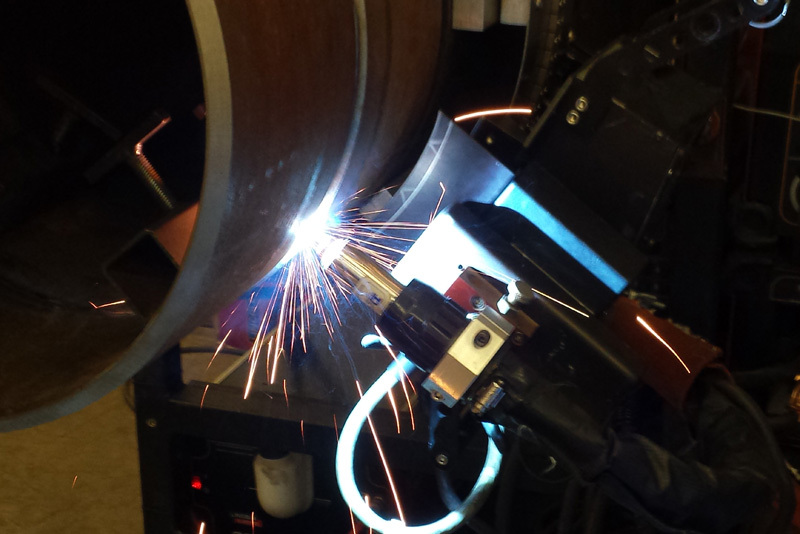 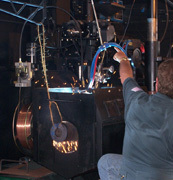 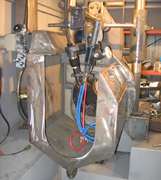 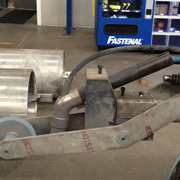 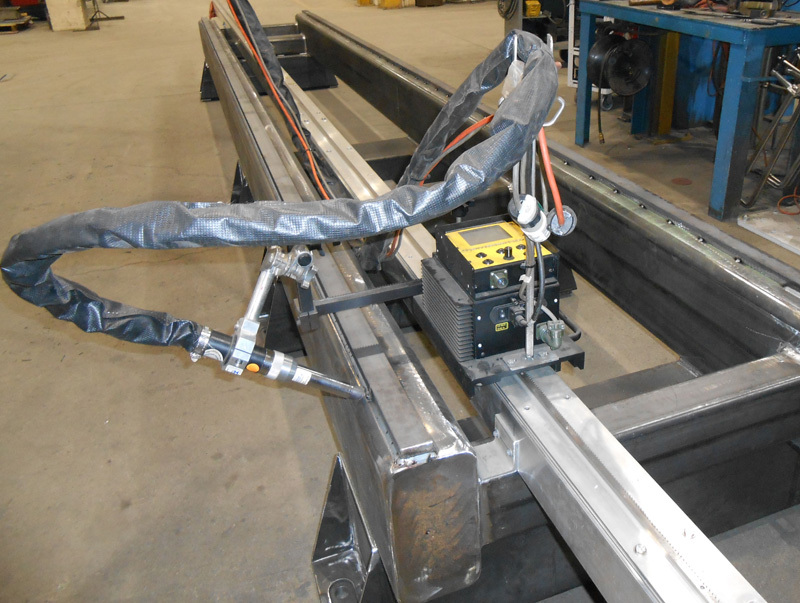 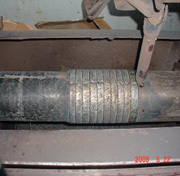 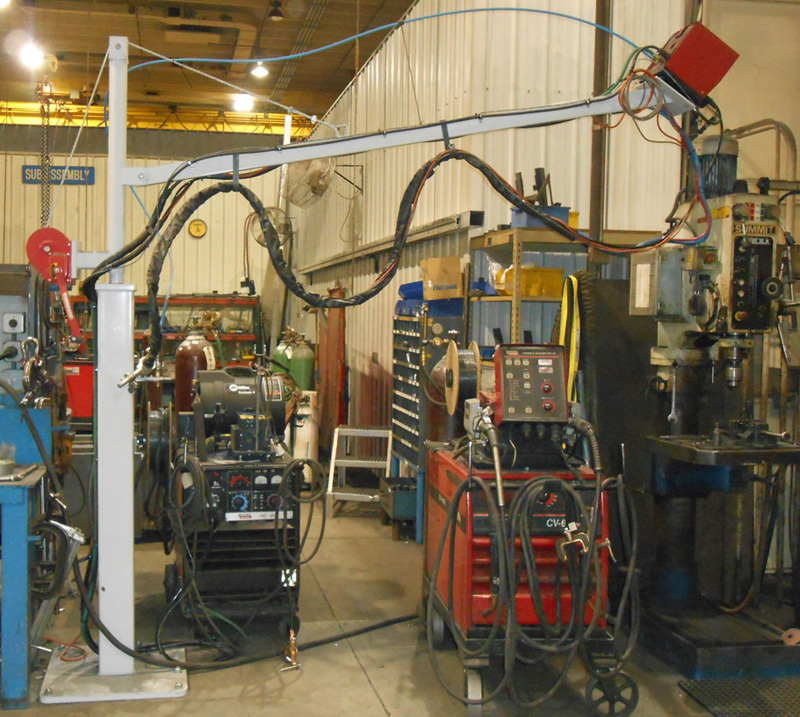 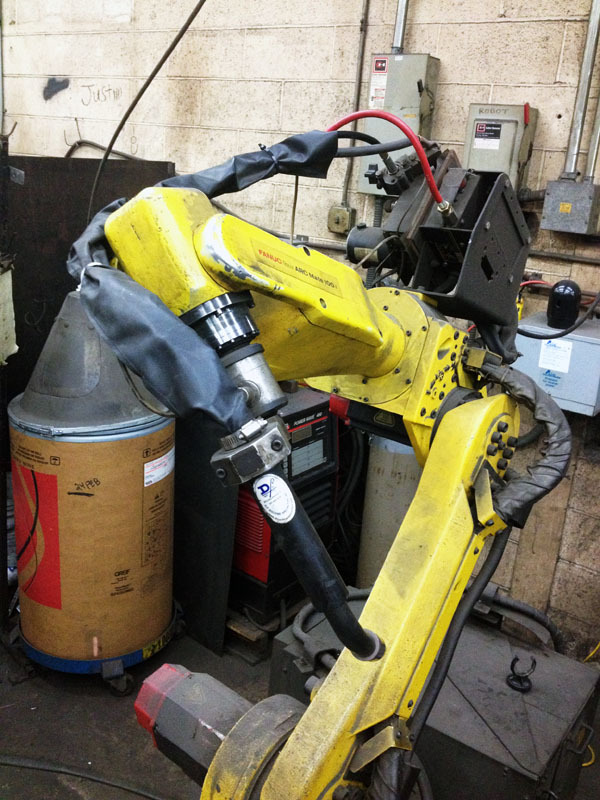 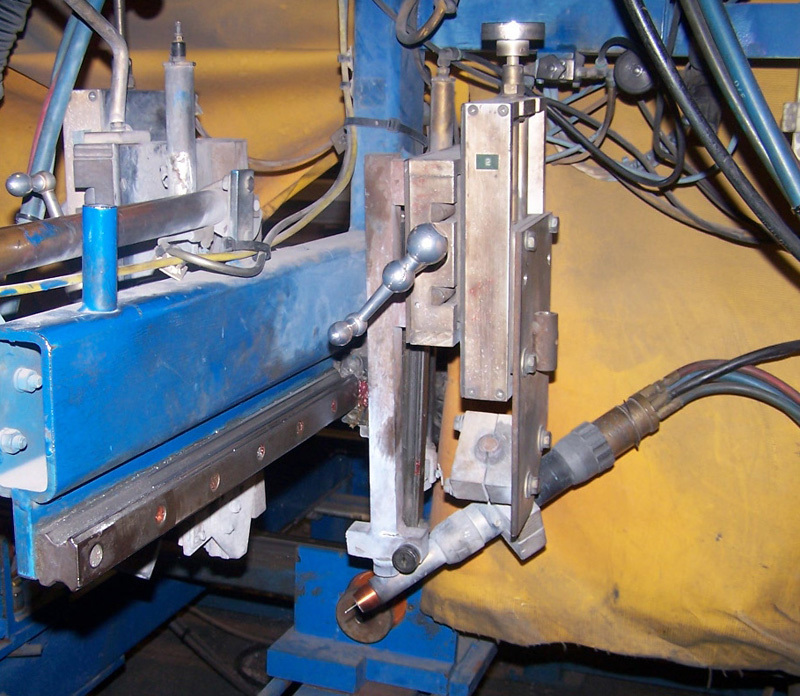 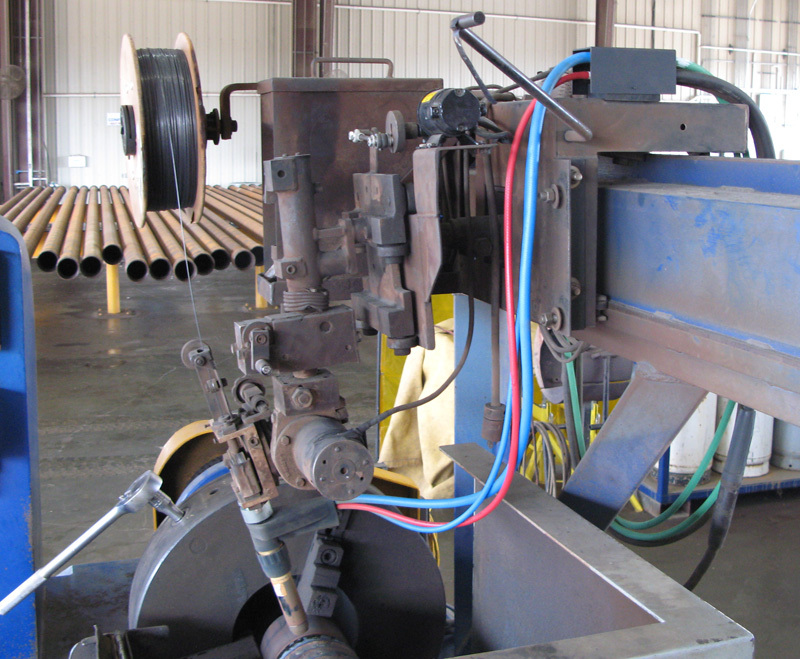 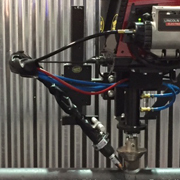 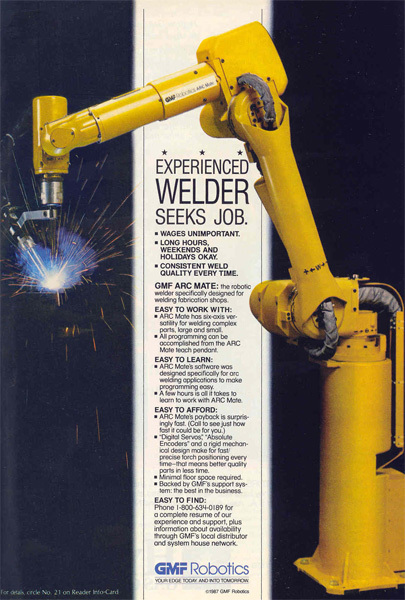 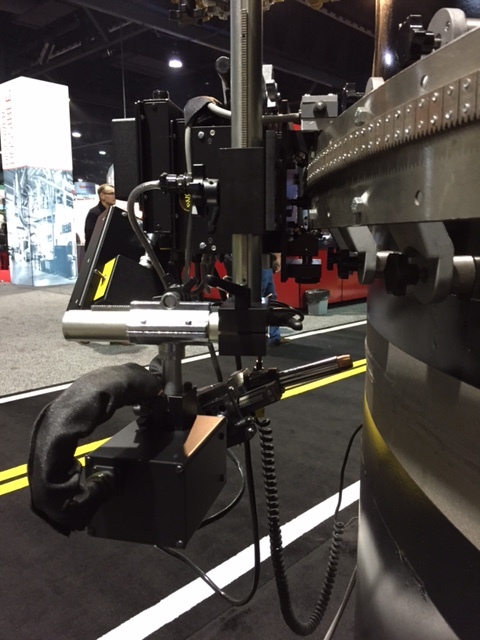 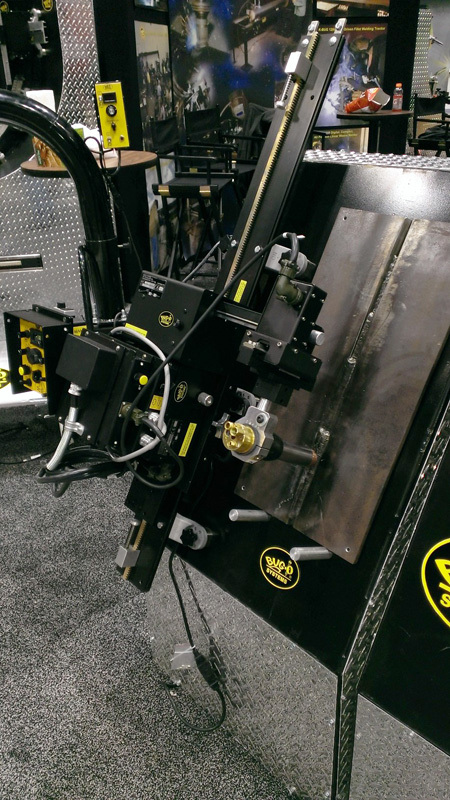 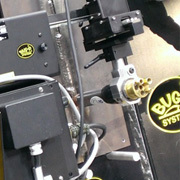 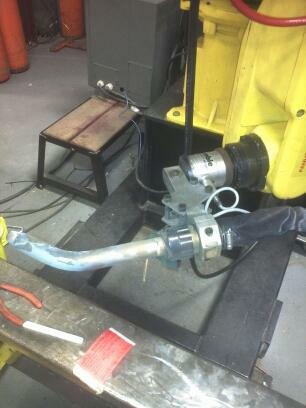 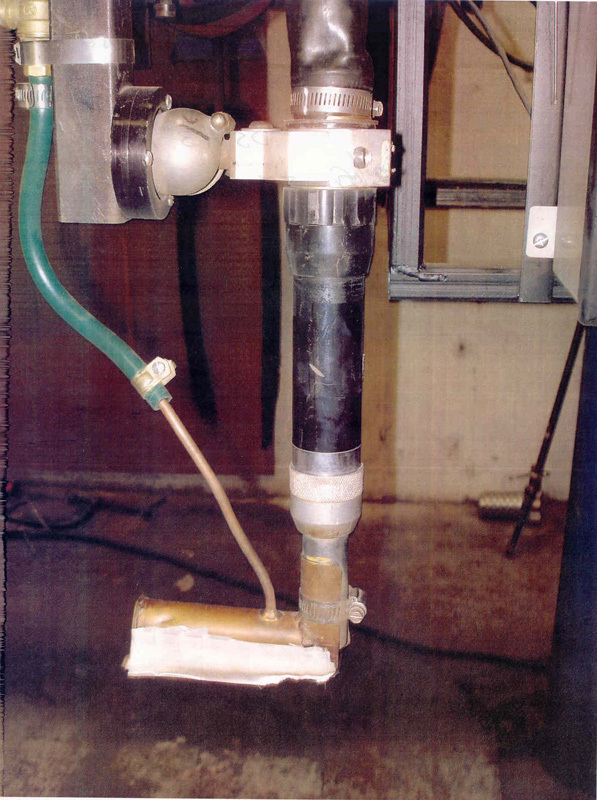 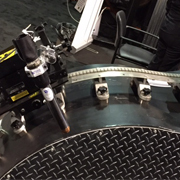 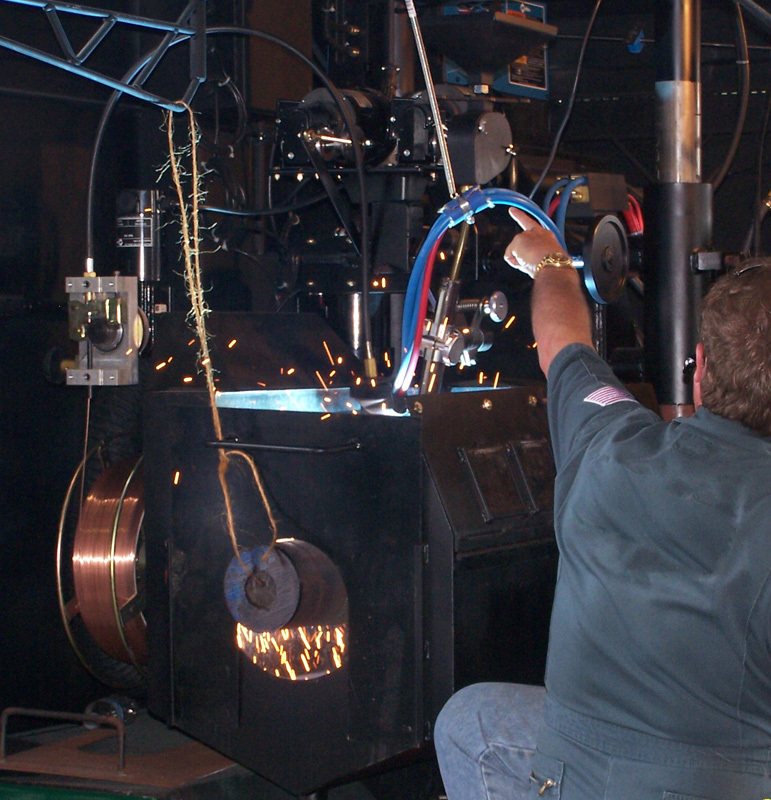 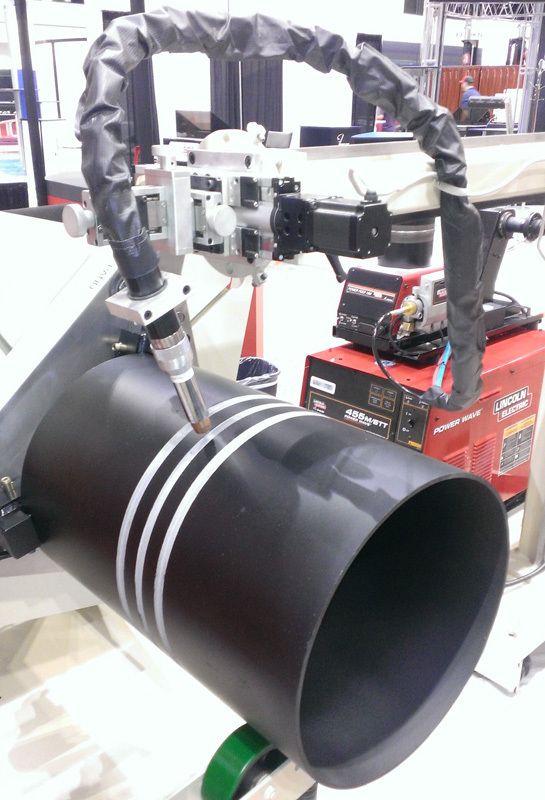 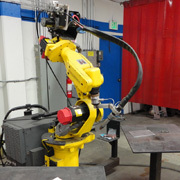 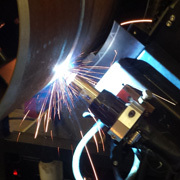 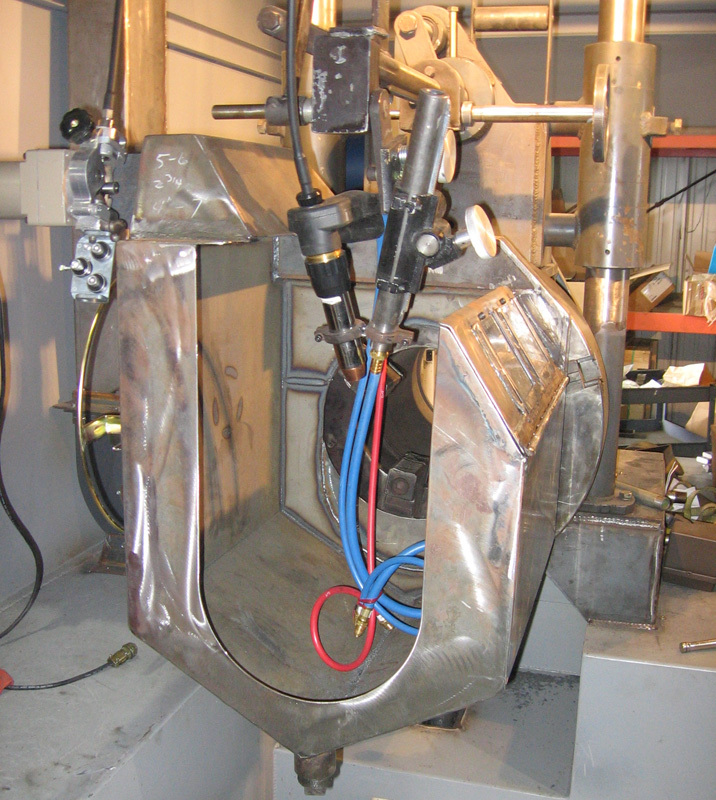 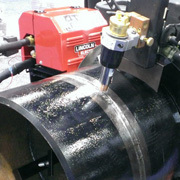 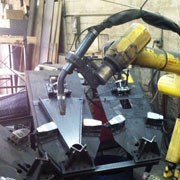 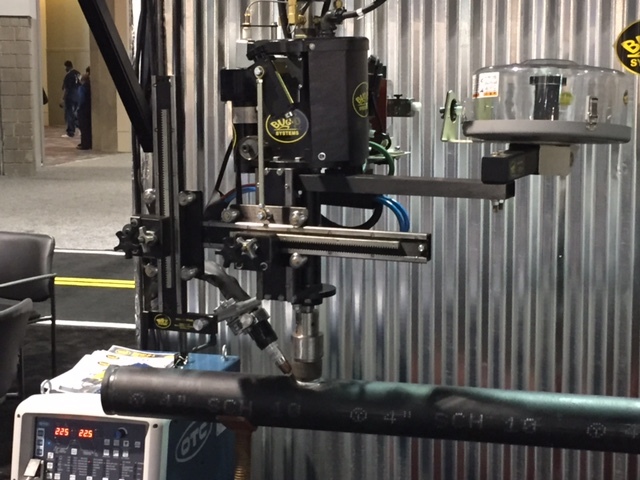 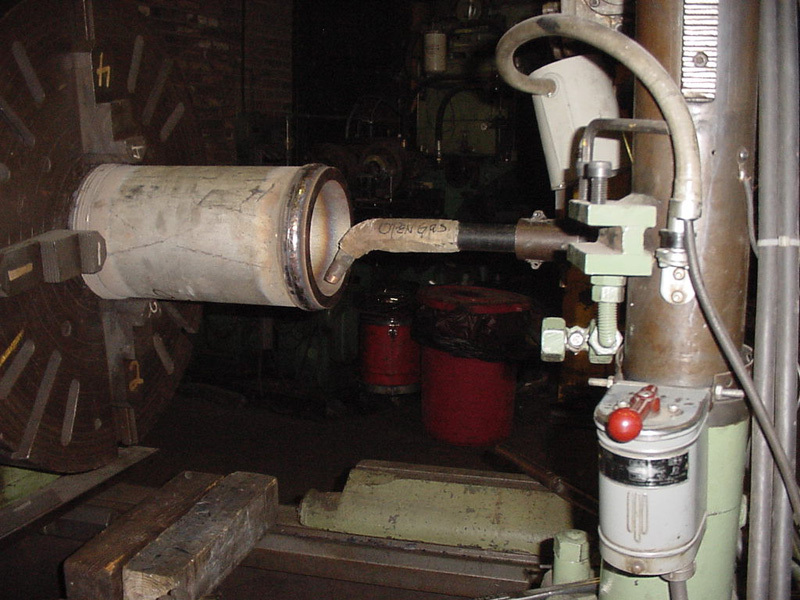 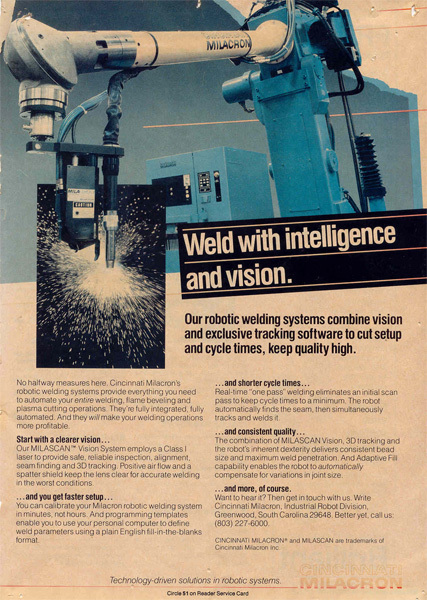 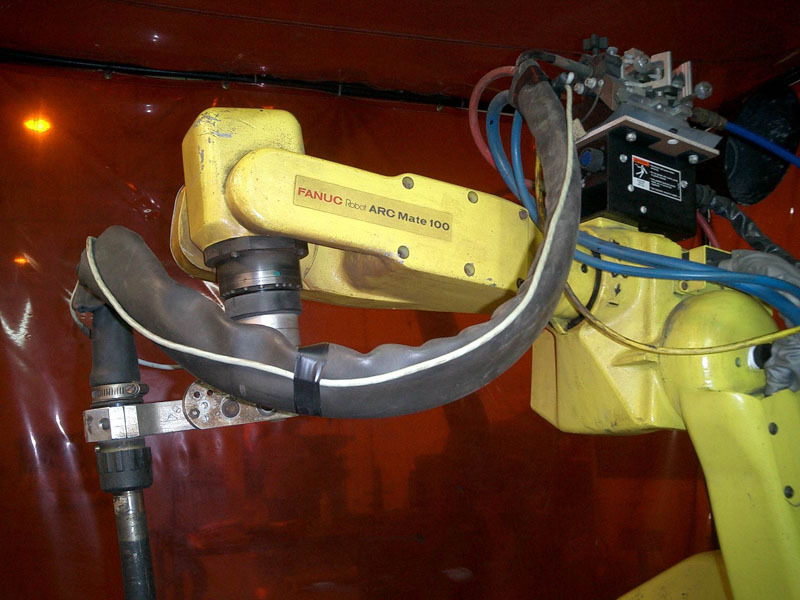 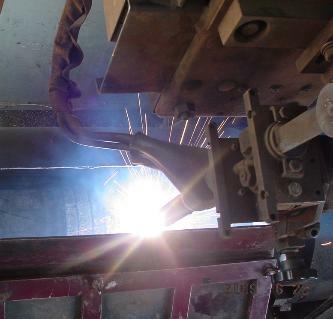 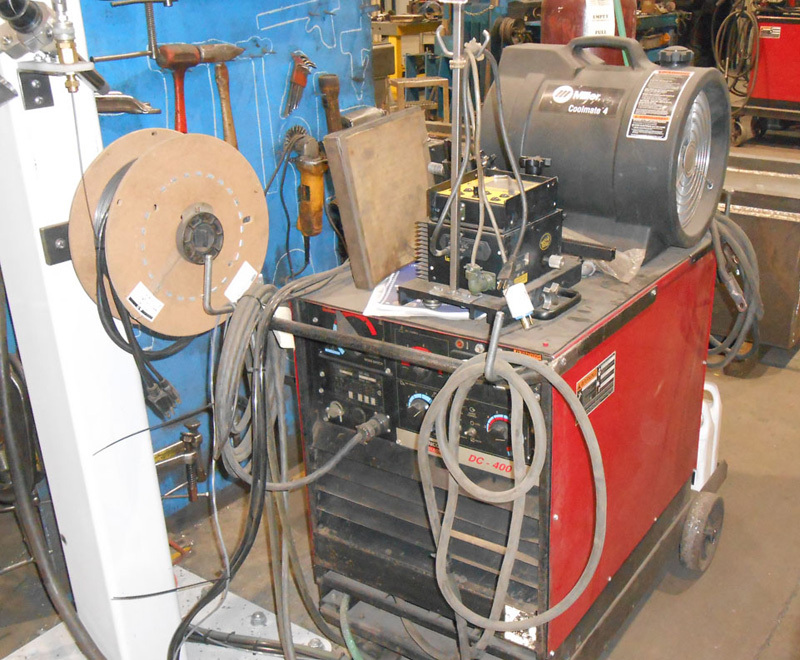 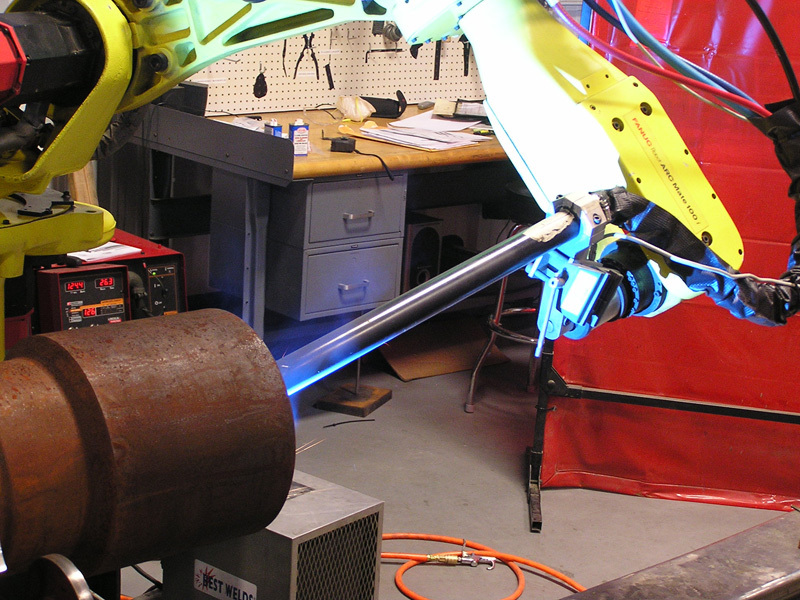 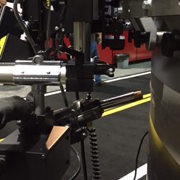 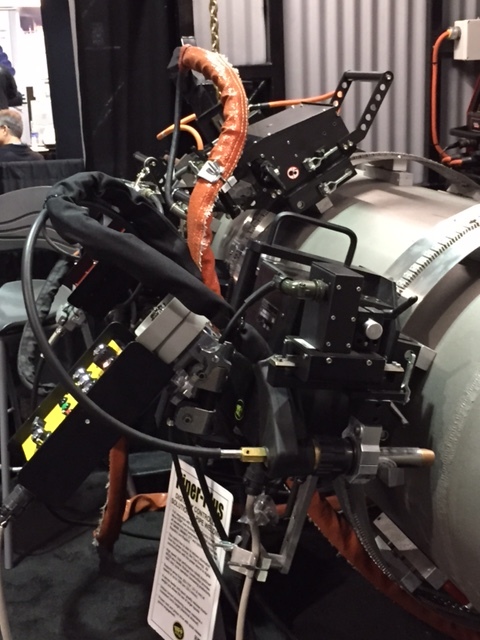 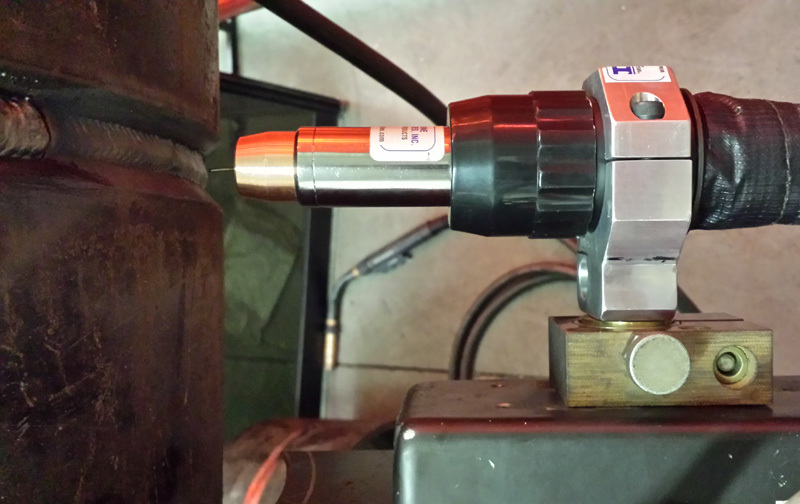 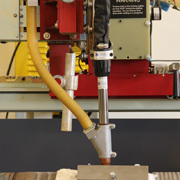 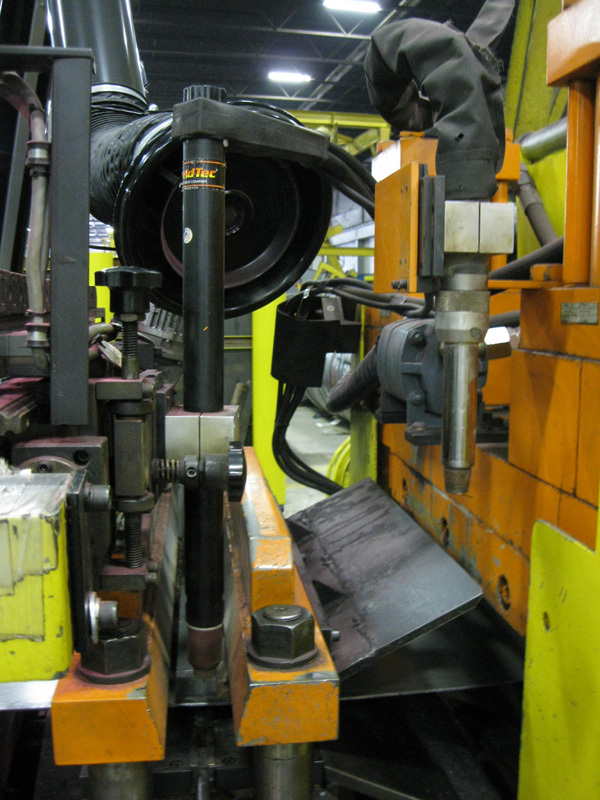 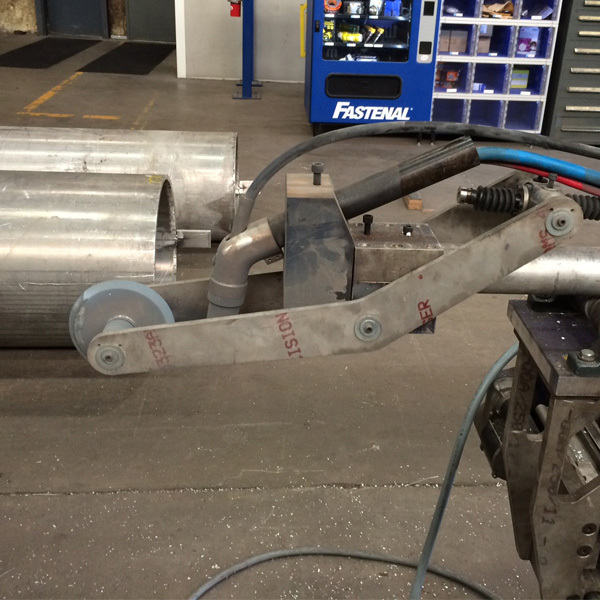 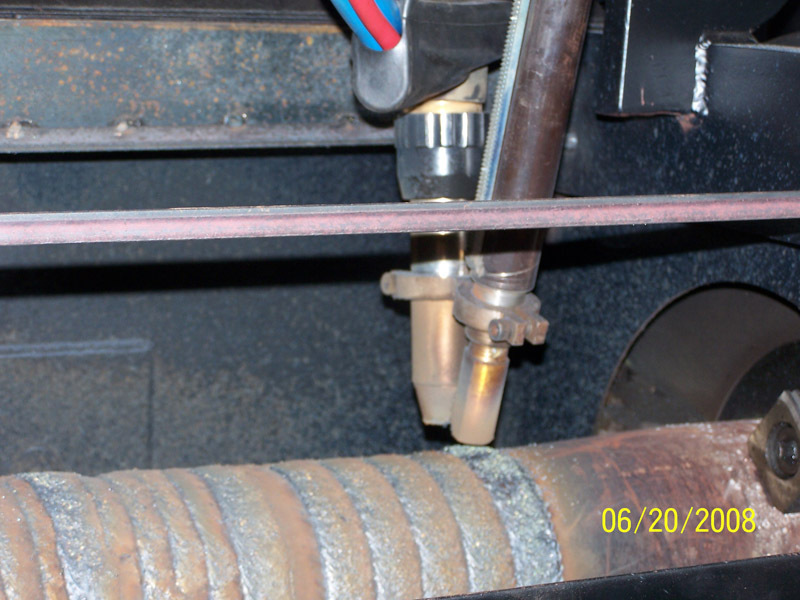 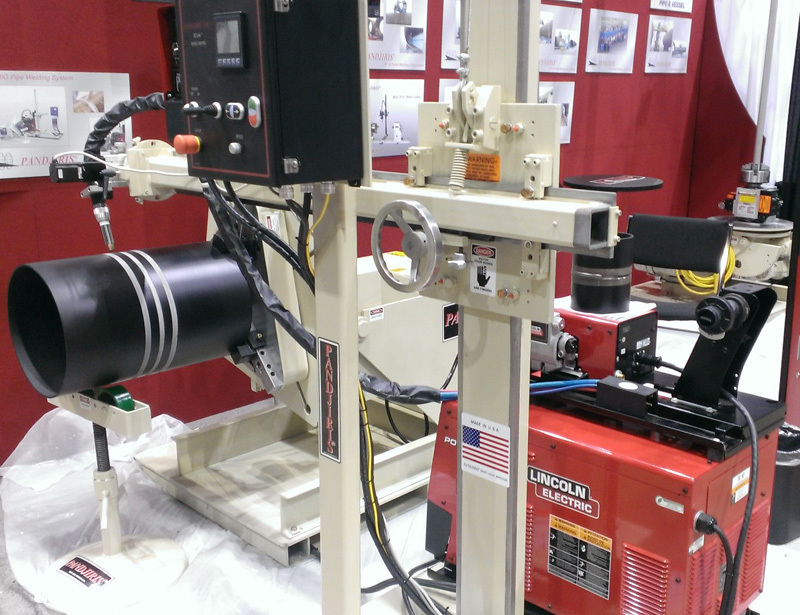 Check out the D/F Machine Specialties MAC-5 17811 Air-Cooled Barrel welding 3/64" Aluminum on the BUG-O Systems CWE-5. 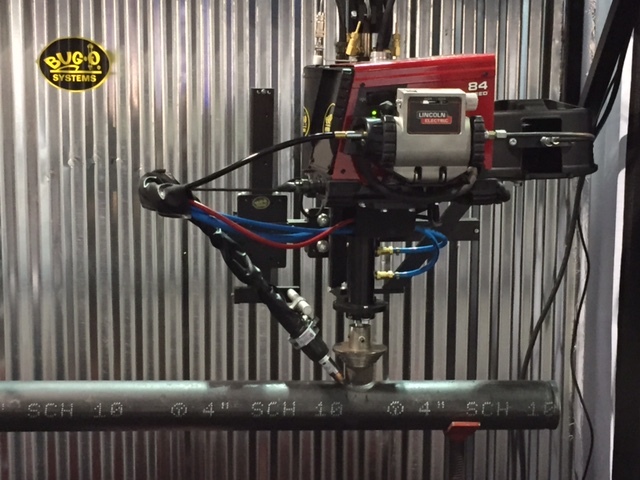 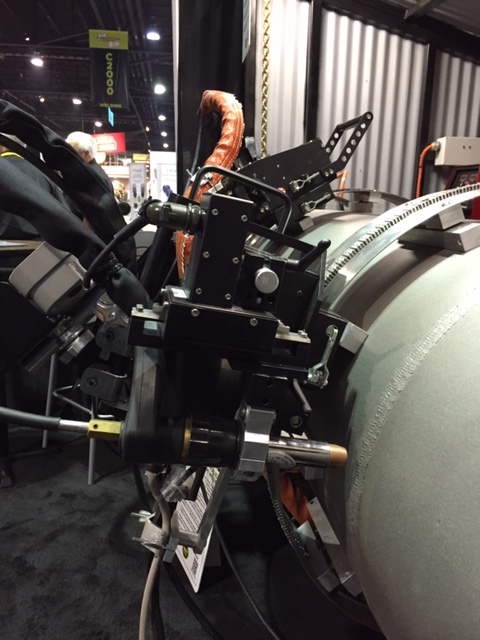 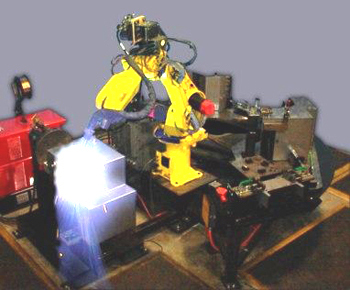 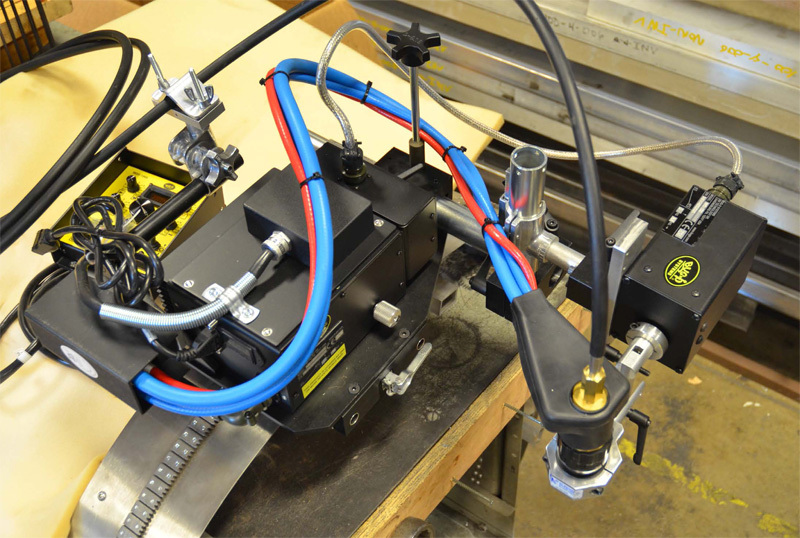 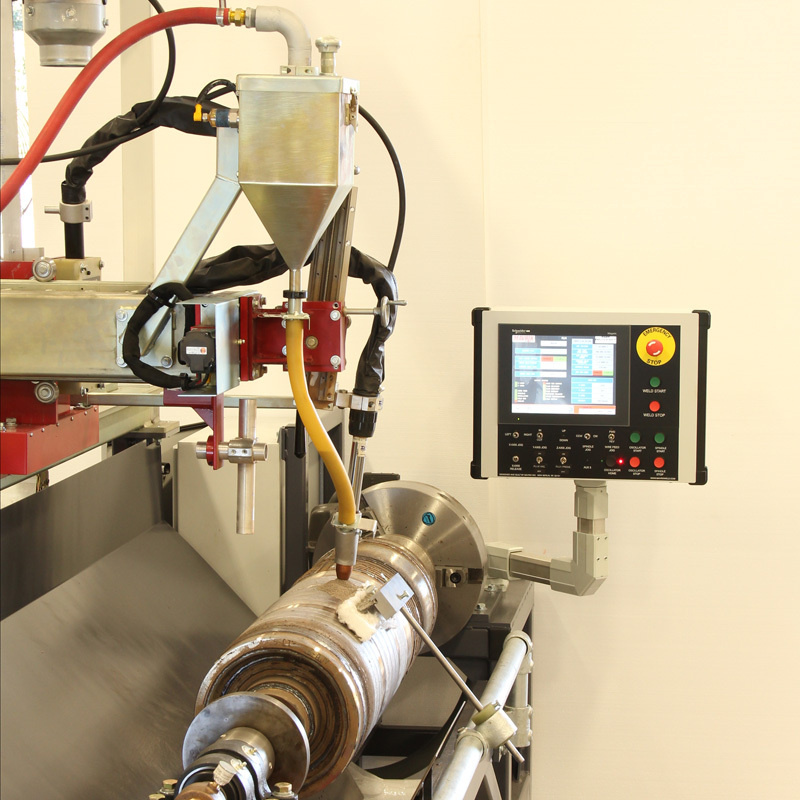 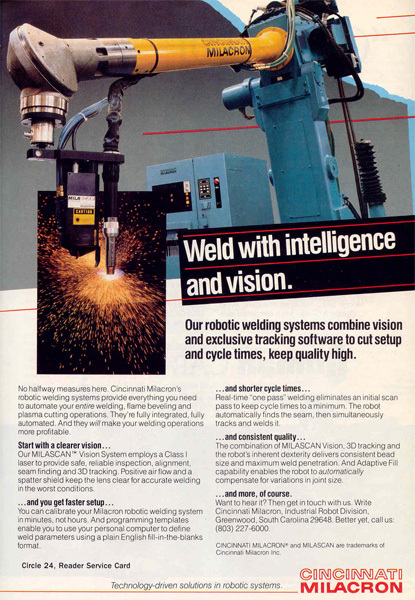 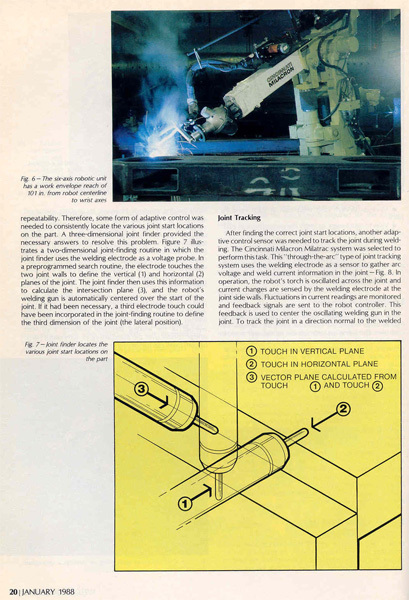 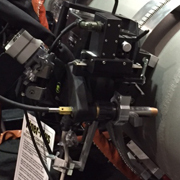 The CW-5 Circle Welder with Remote Control is designed for single or multipass welding of couplings or nozzles on pipe and vessels utilizing MIG or Flux Core process, with gas shield. 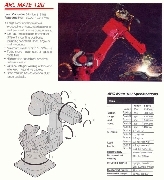 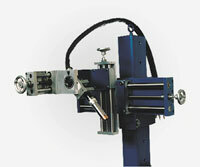 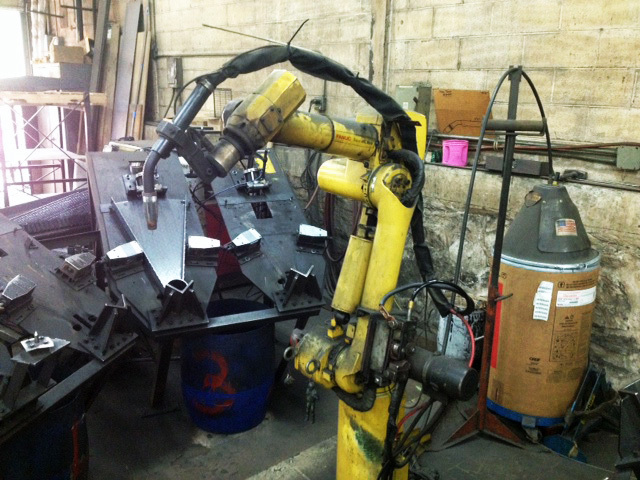 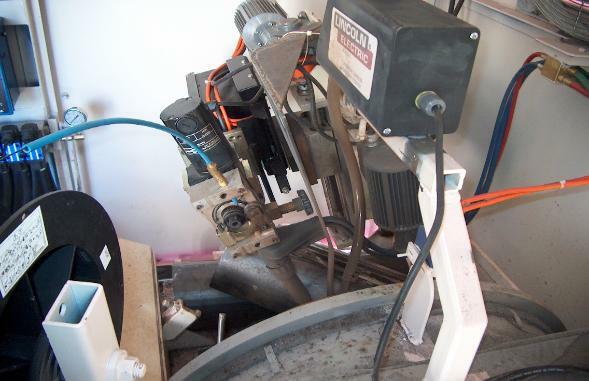 The machine is equipped with its own wire feeder, rotation drive motor, rise and fall cam assembly and welding gun. 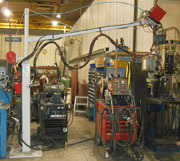 Horizontal and vertical racking to position the torch and a 30 lb (14 kg) spool holder. 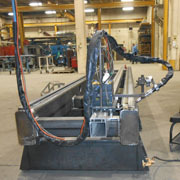 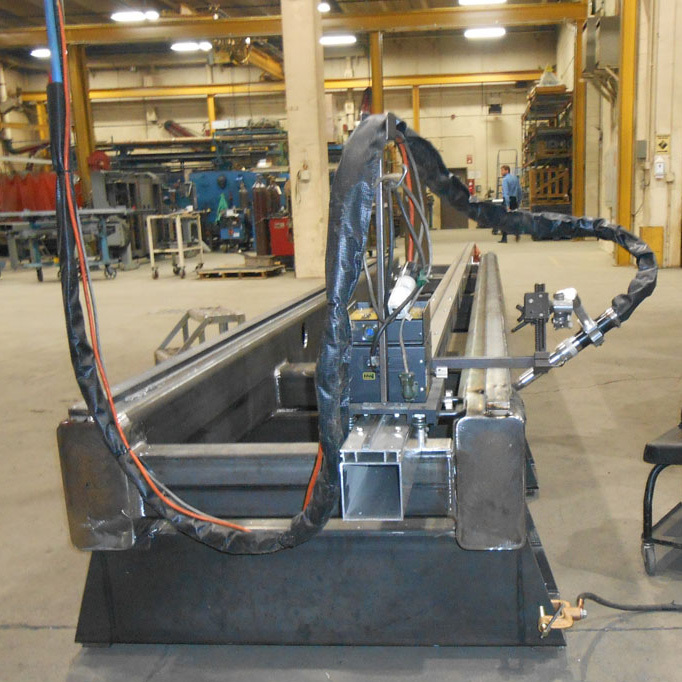 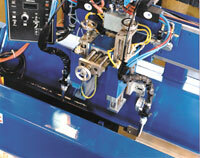 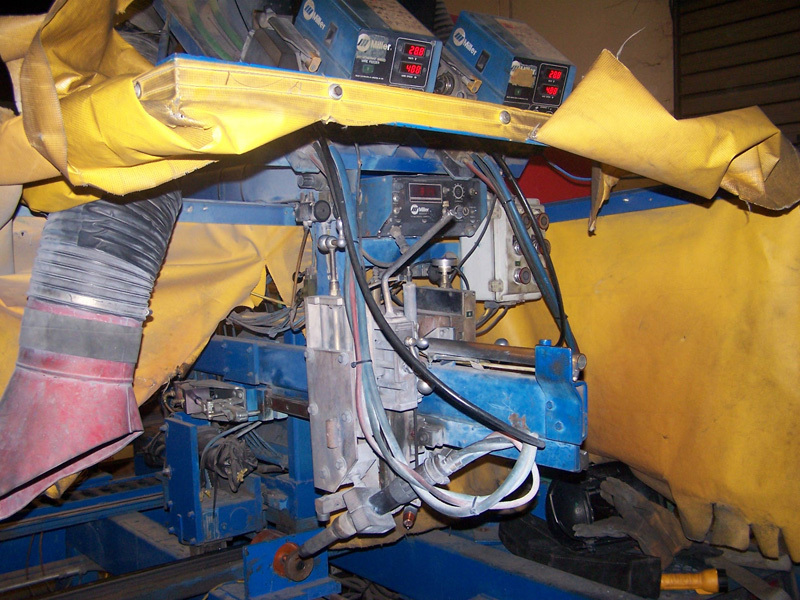 OTC Daihen is providing the DP400 power source and CMRE-741 4-roll wire feeder. 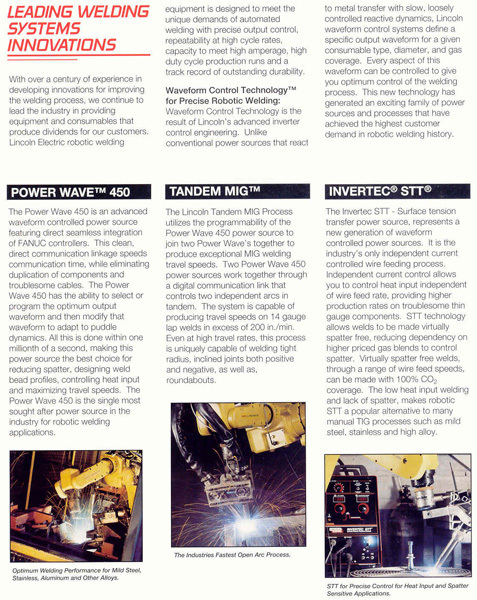 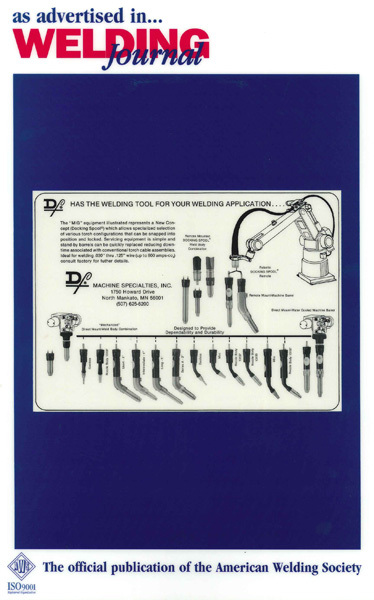 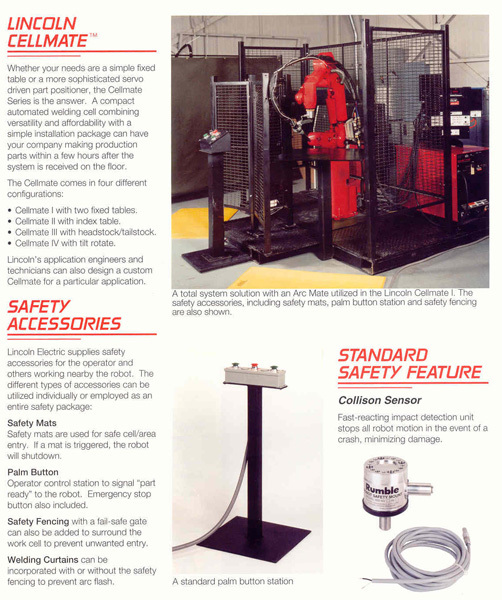 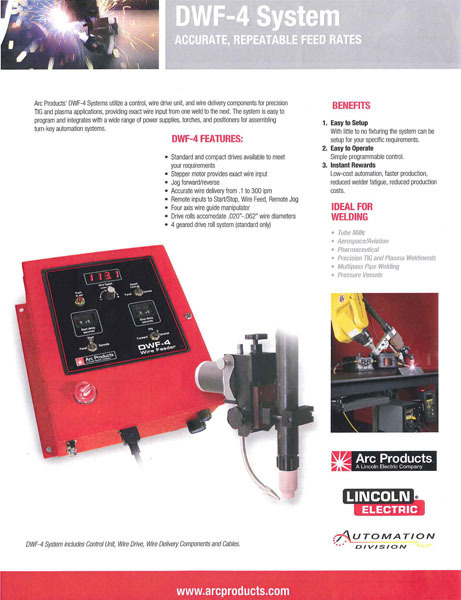 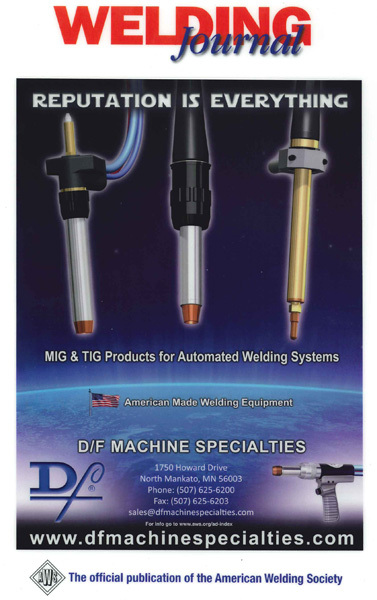 Check out the New Product Catalog from D/F Machine Specialties featuring our most popular MIG & TIG welding equipment, accessories and consumables. 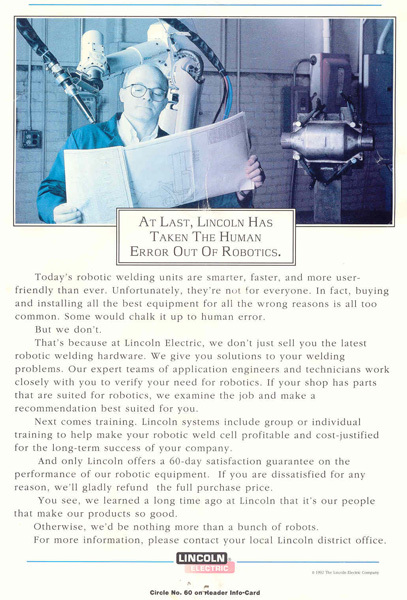 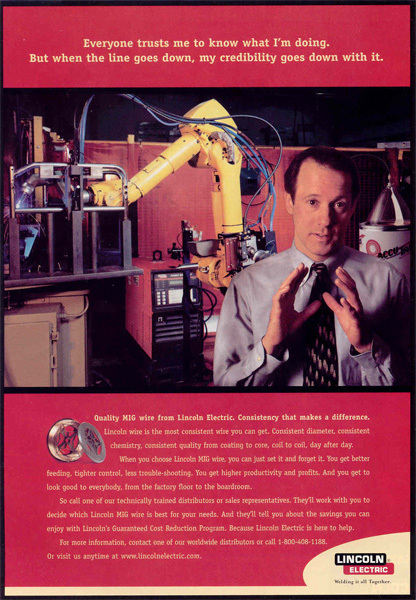 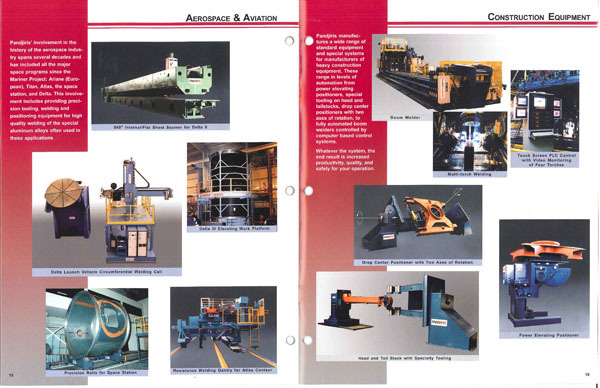 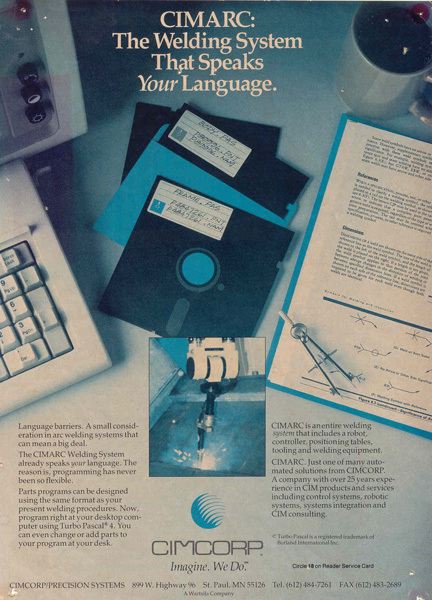 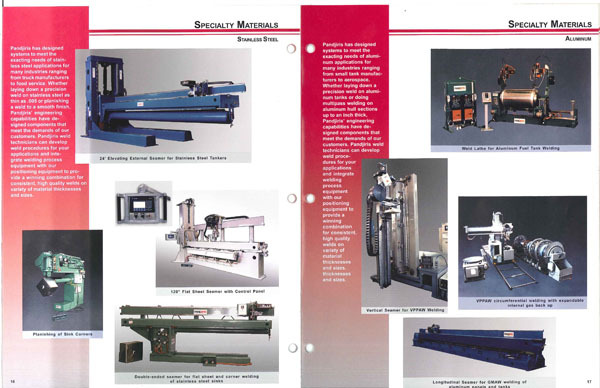 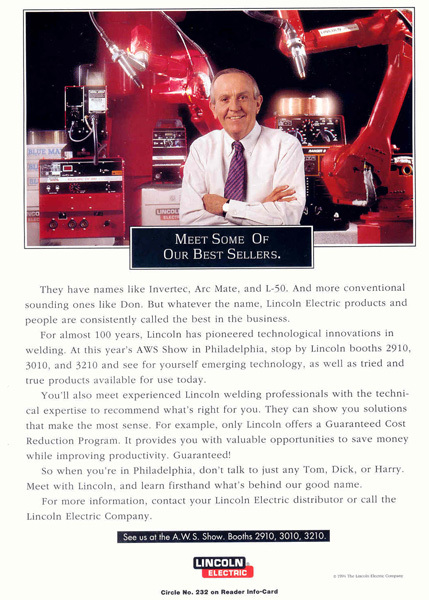 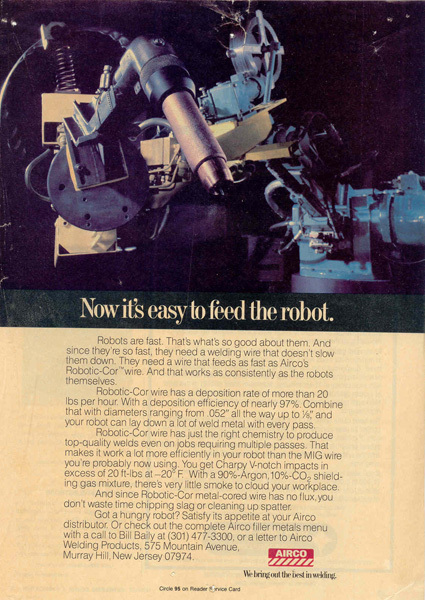 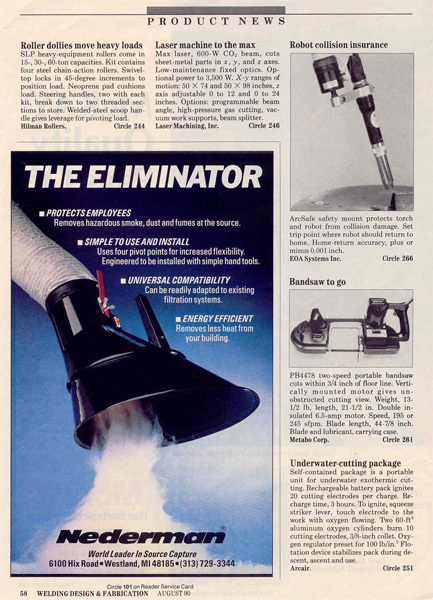 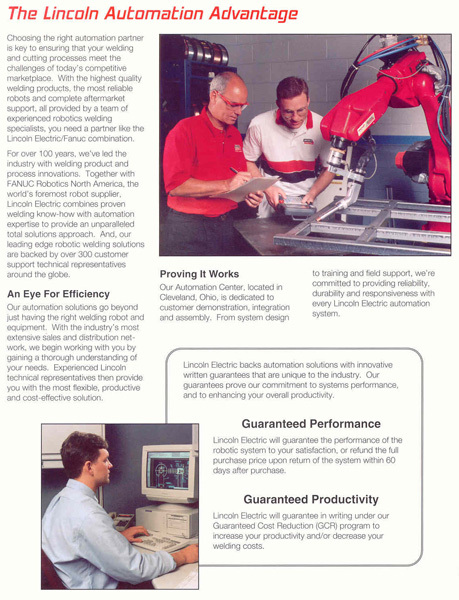 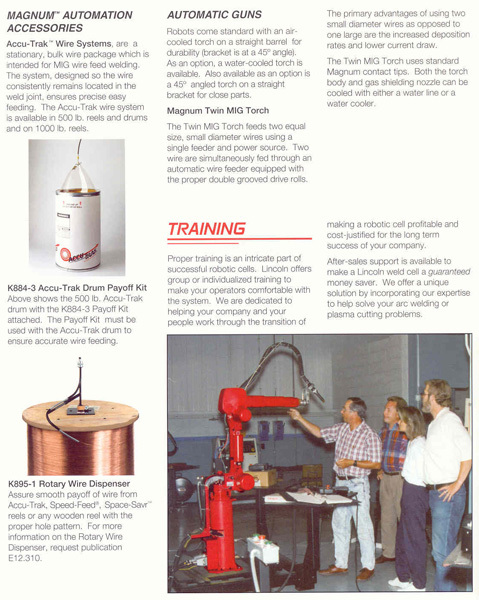 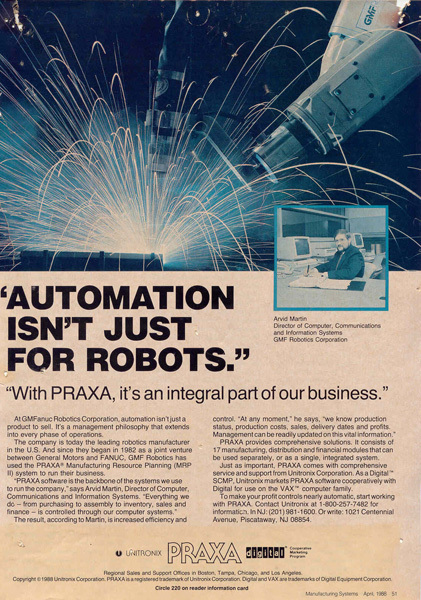 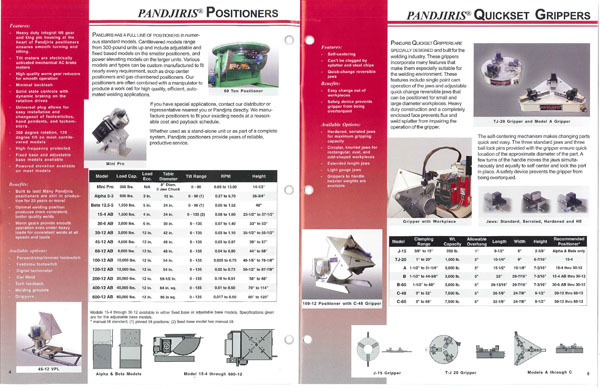 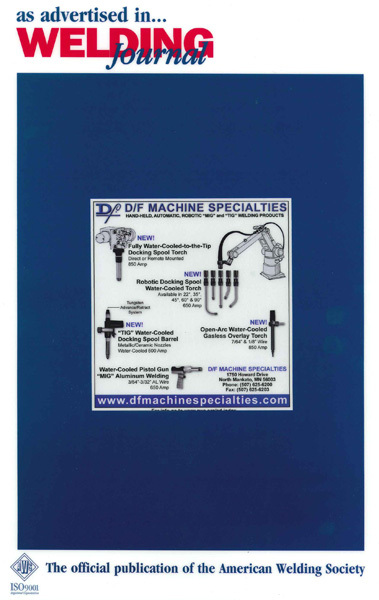 The catalog will cater to your informational and ordering needs. 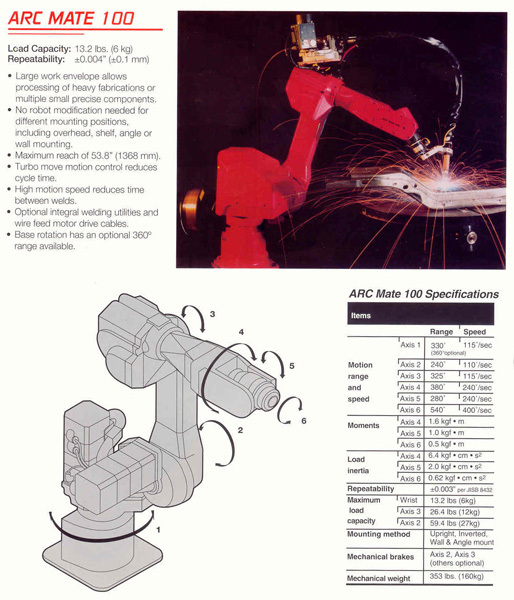 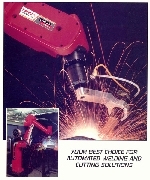 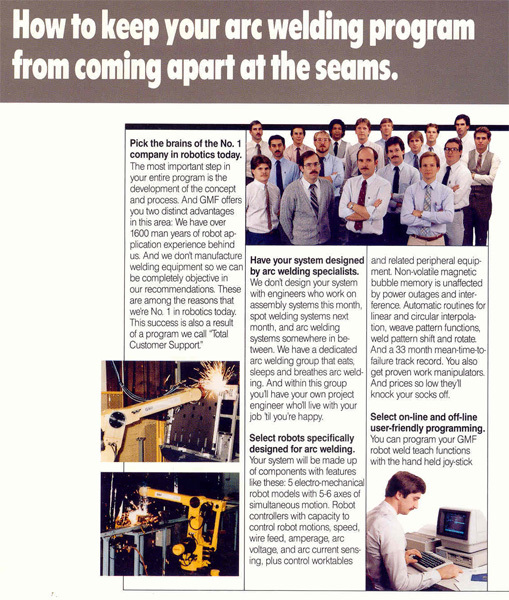 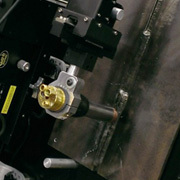 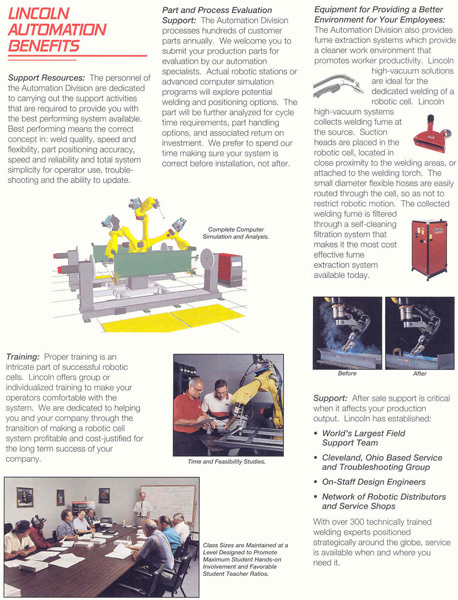 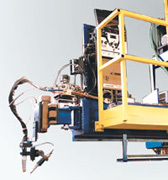 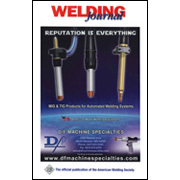 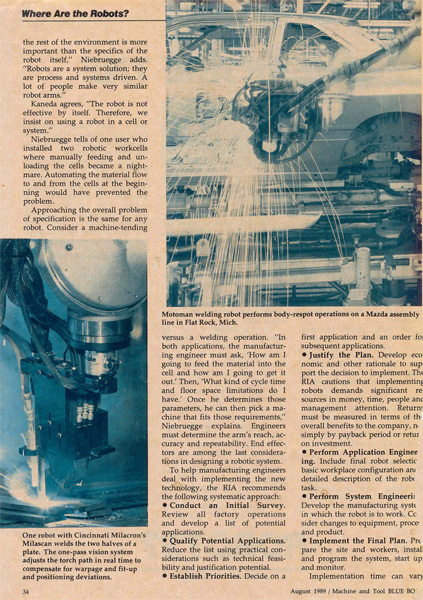 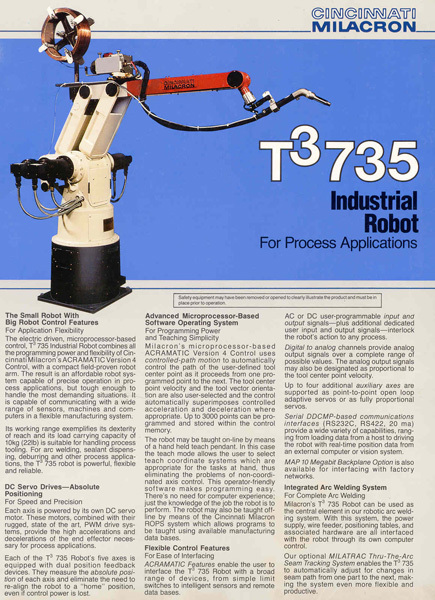 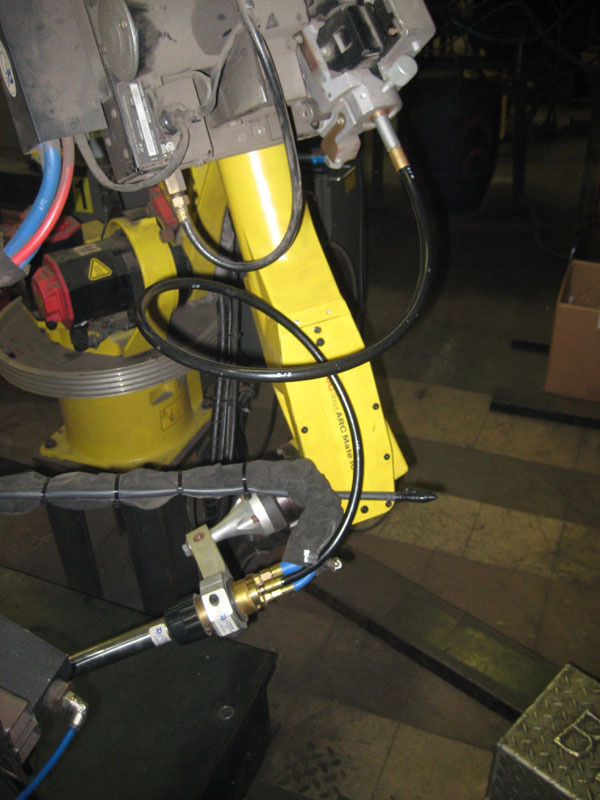 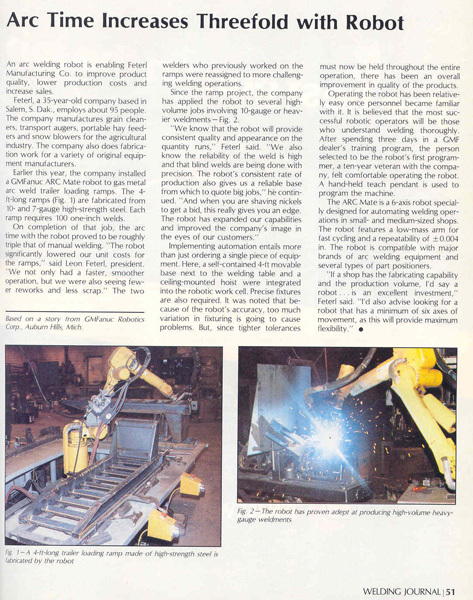 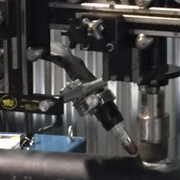 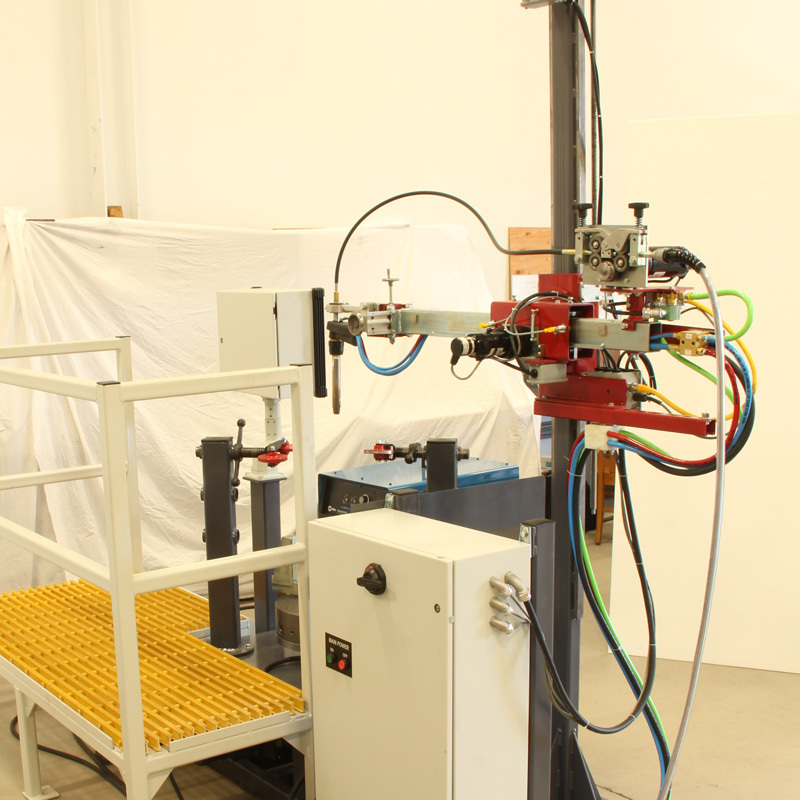 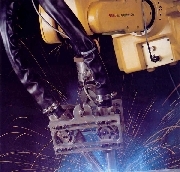 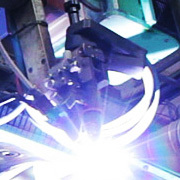 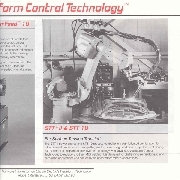 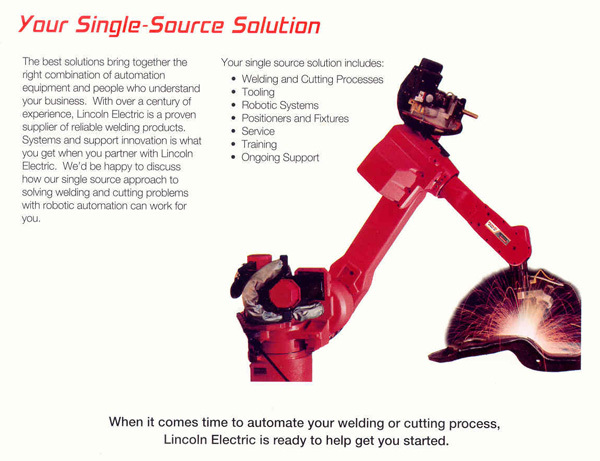 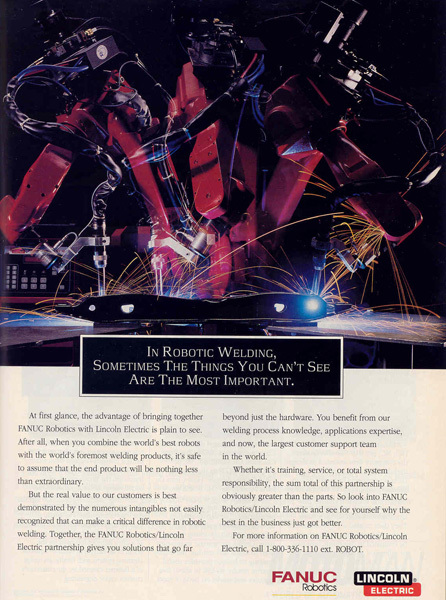 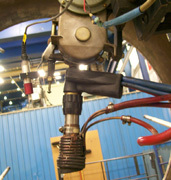 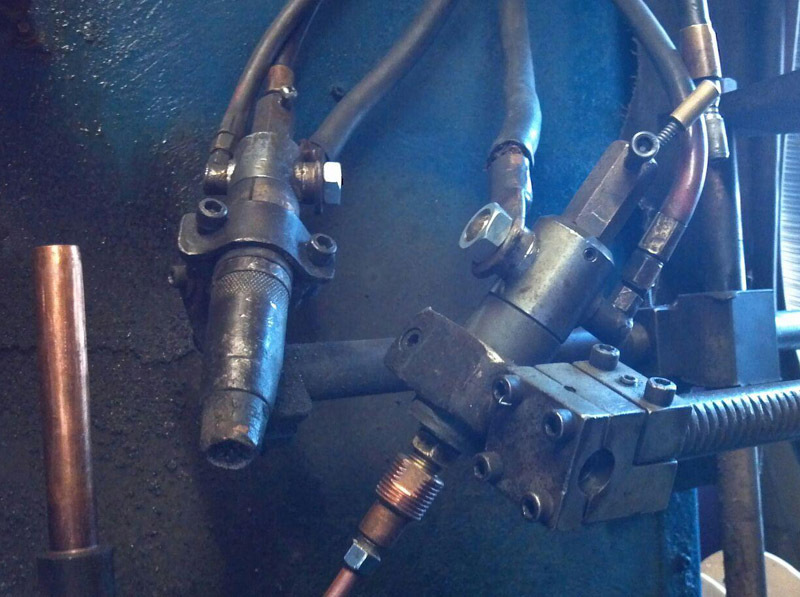 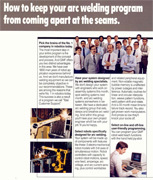 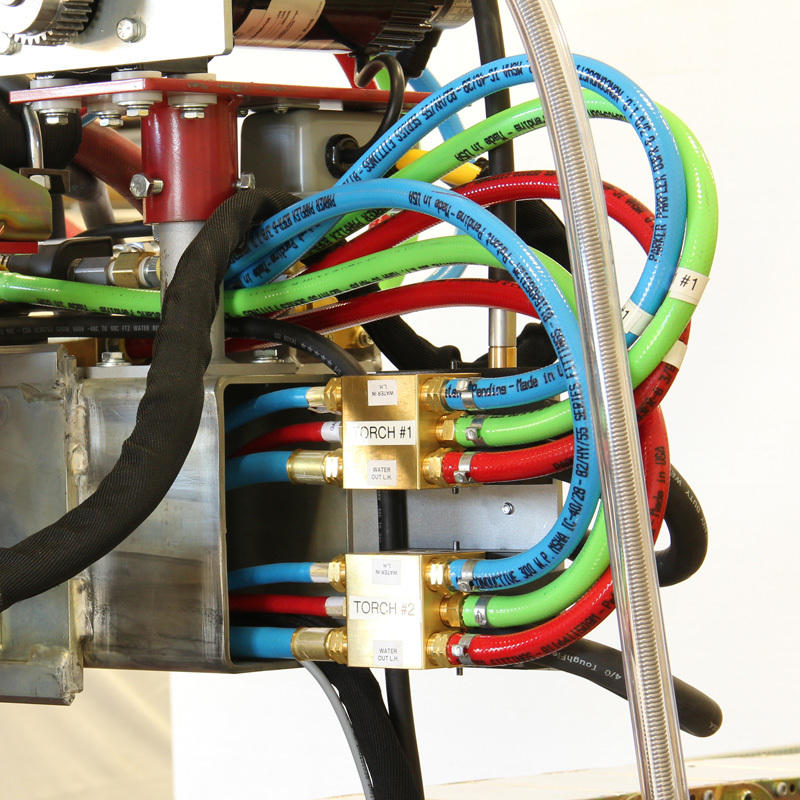 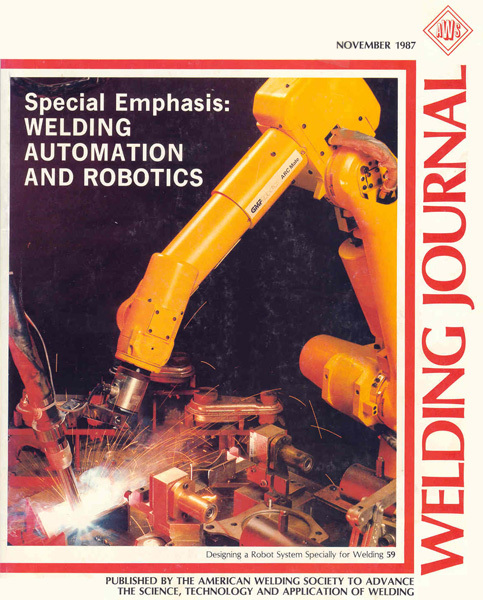 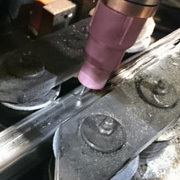 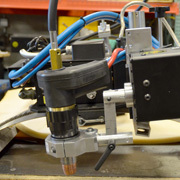 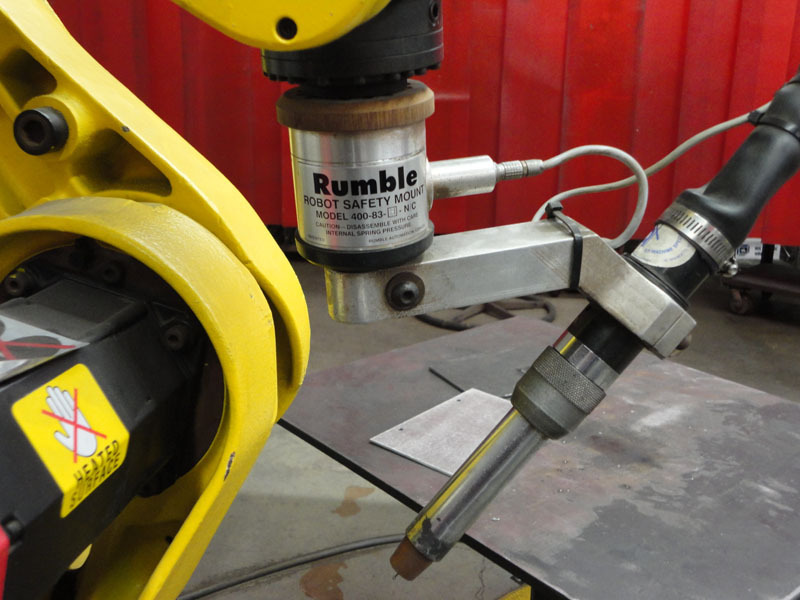 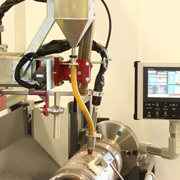 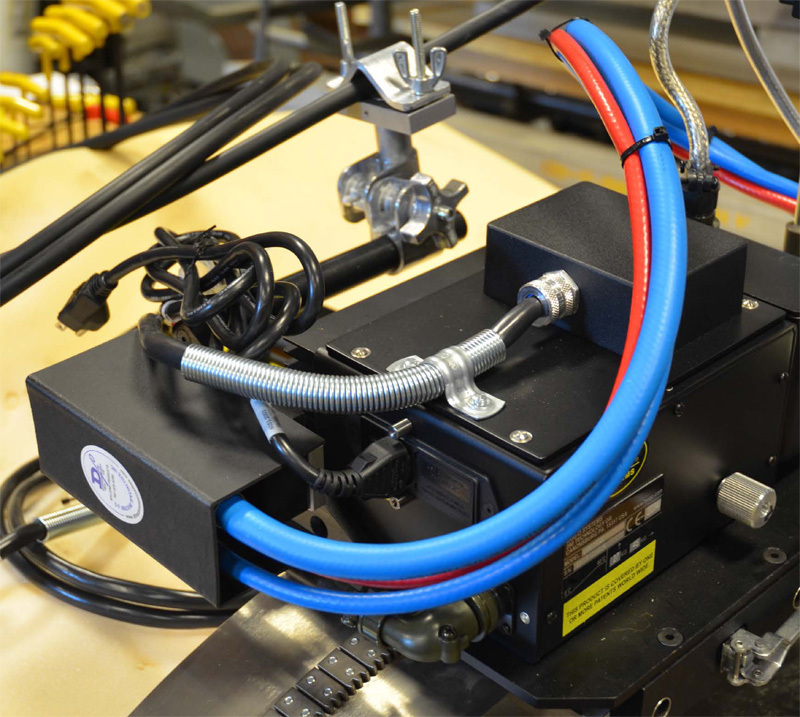 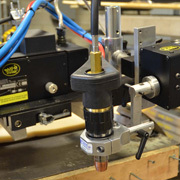 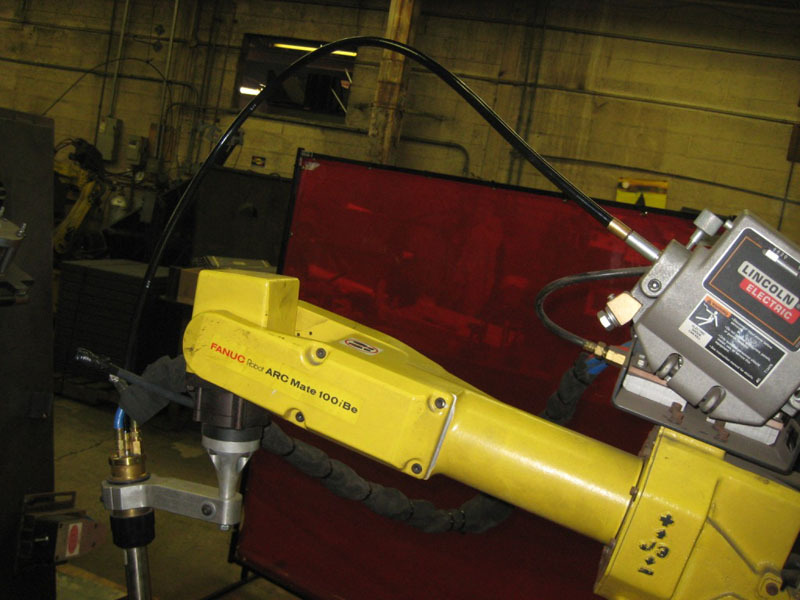 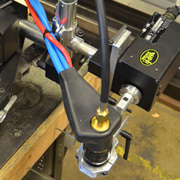 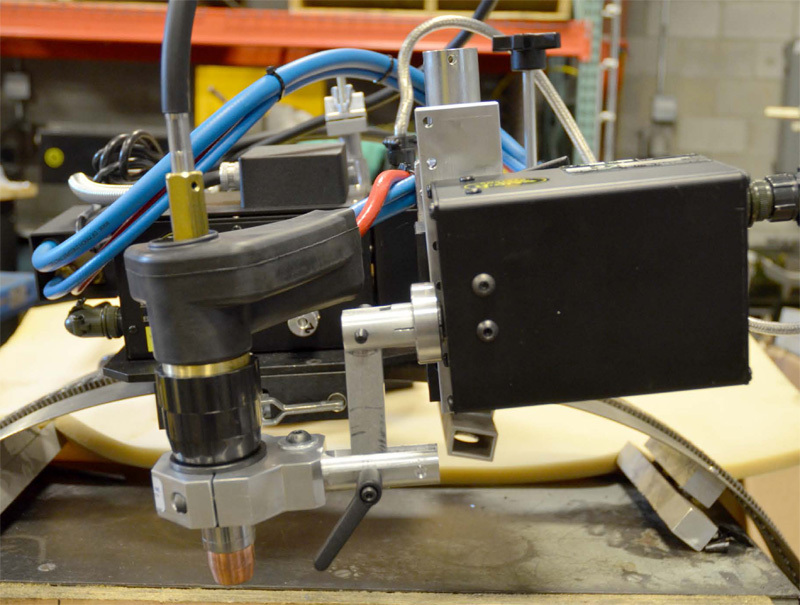 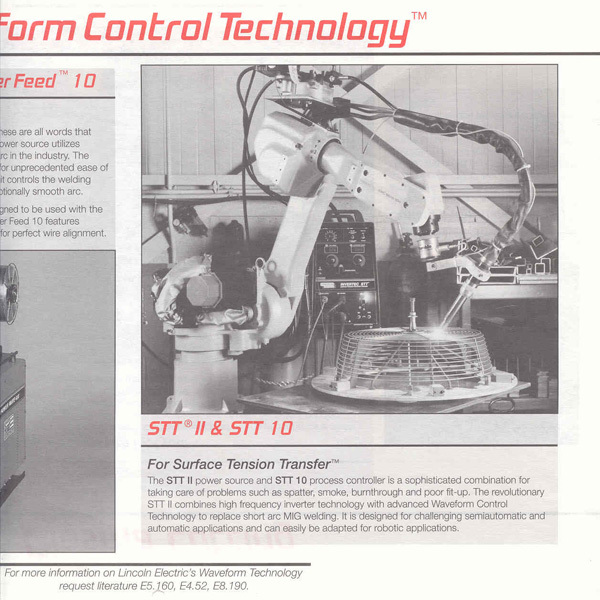 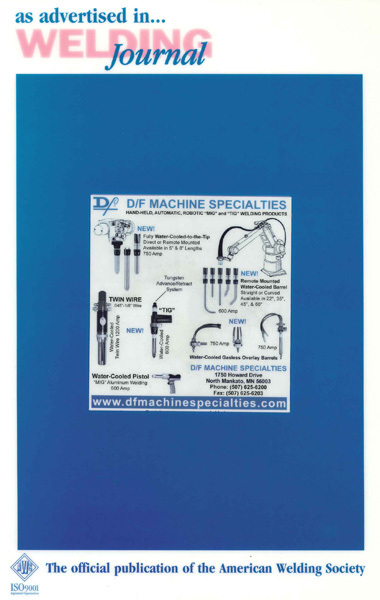 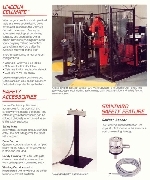 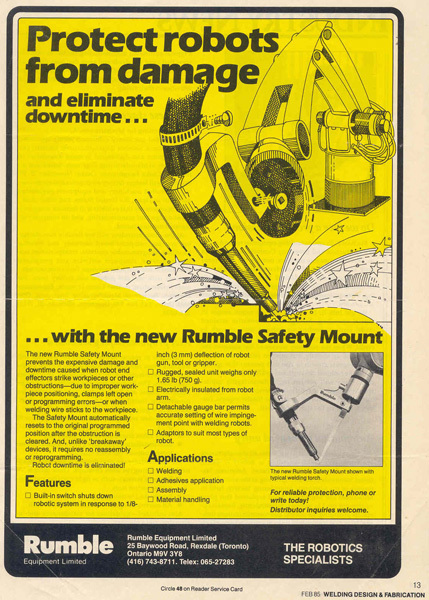 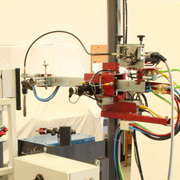 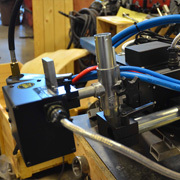 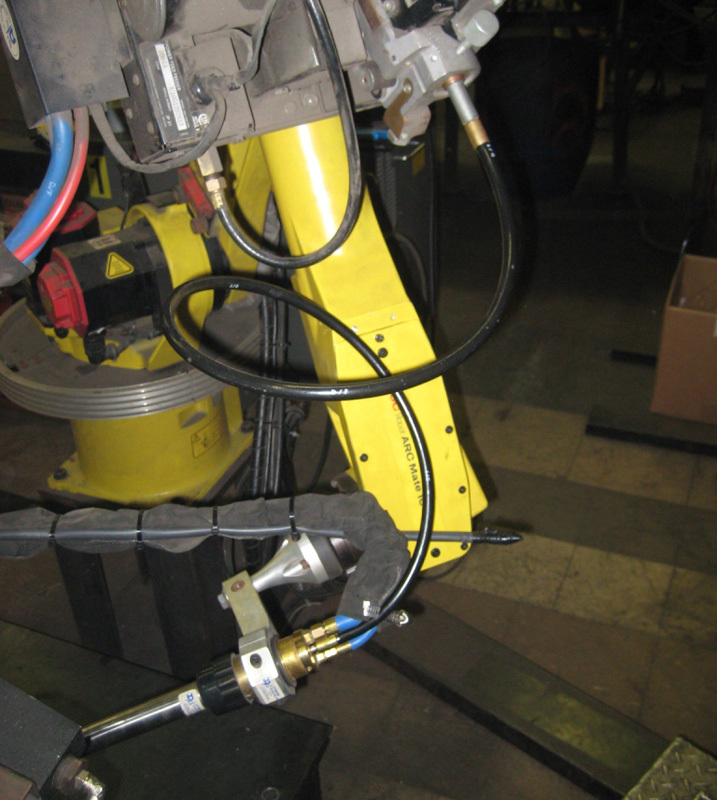 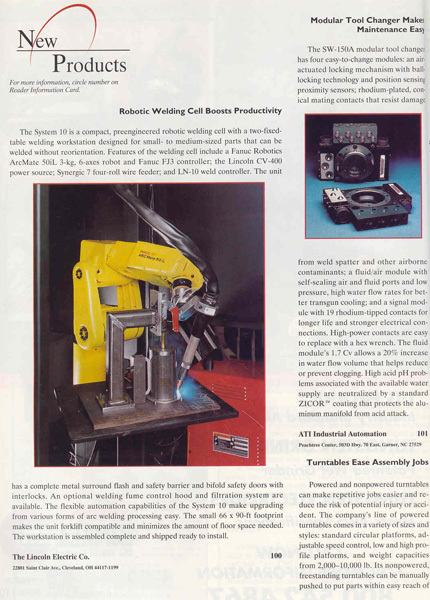 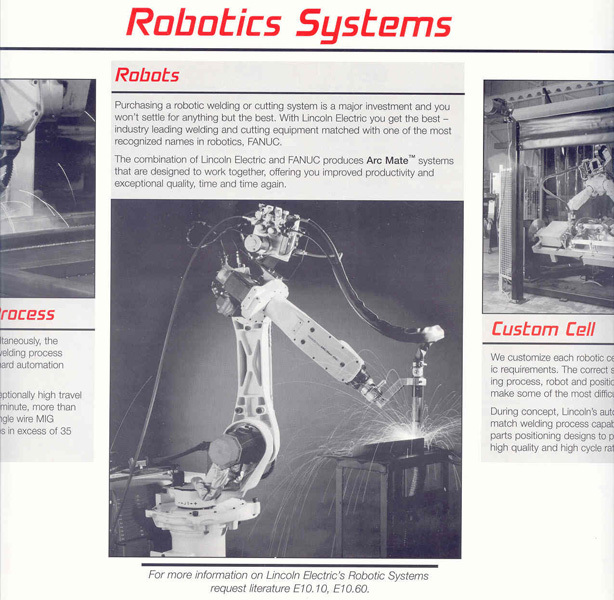 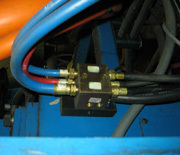 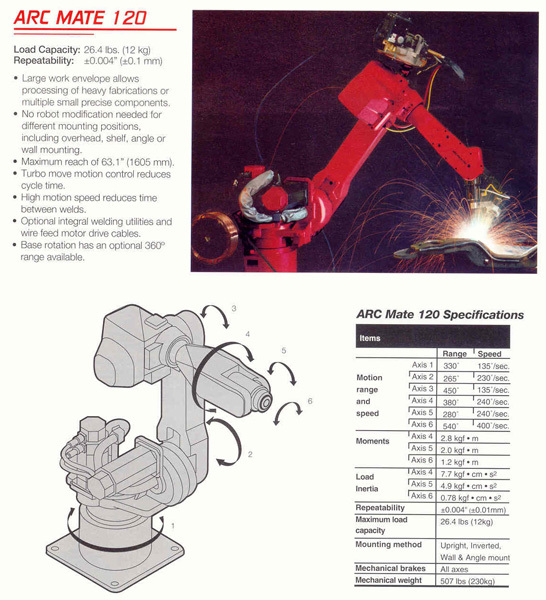 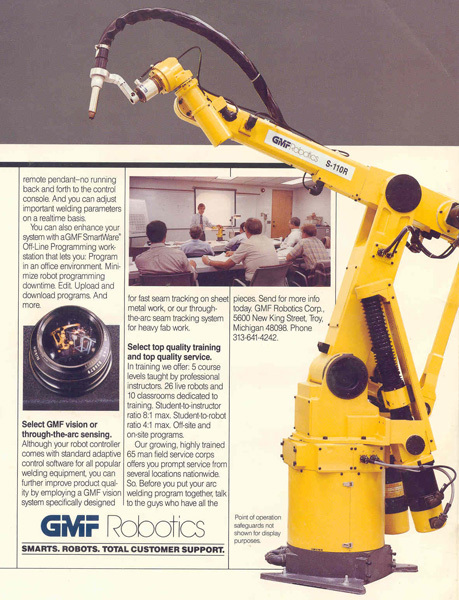 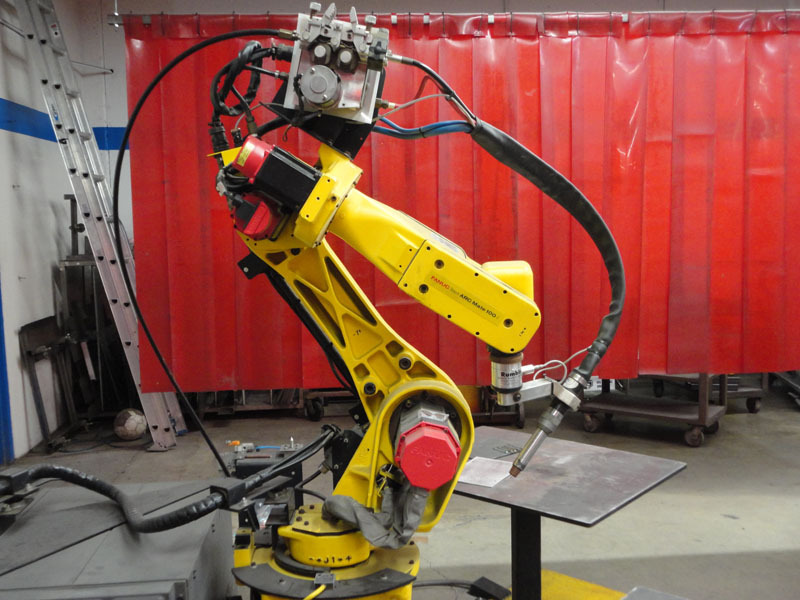 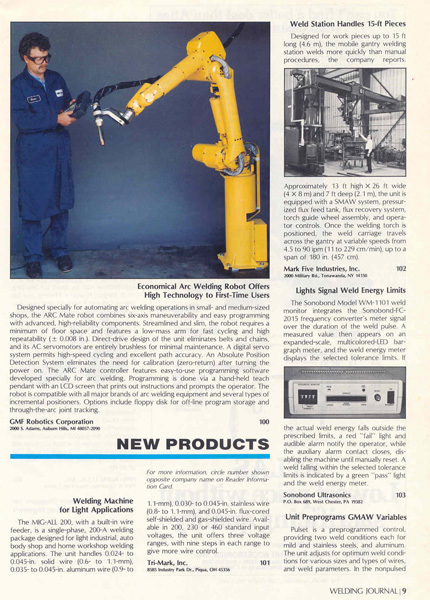 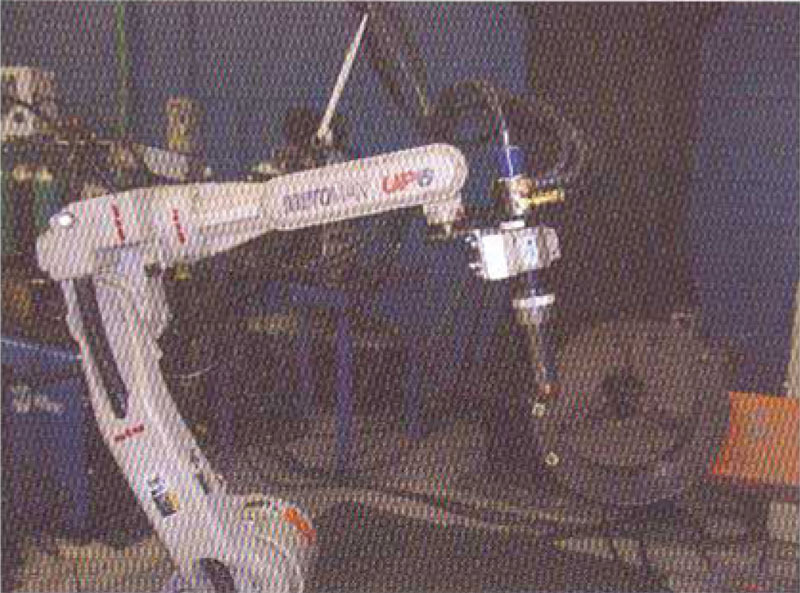 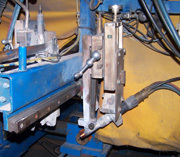 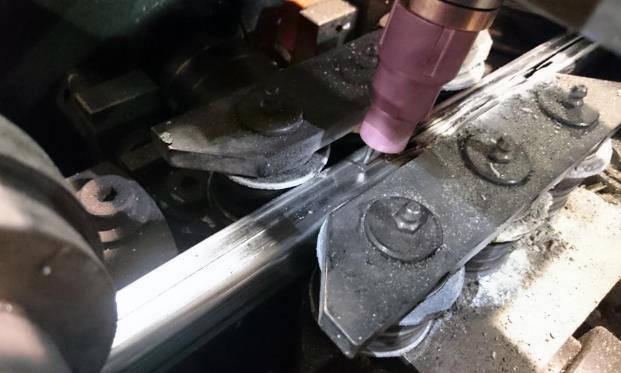 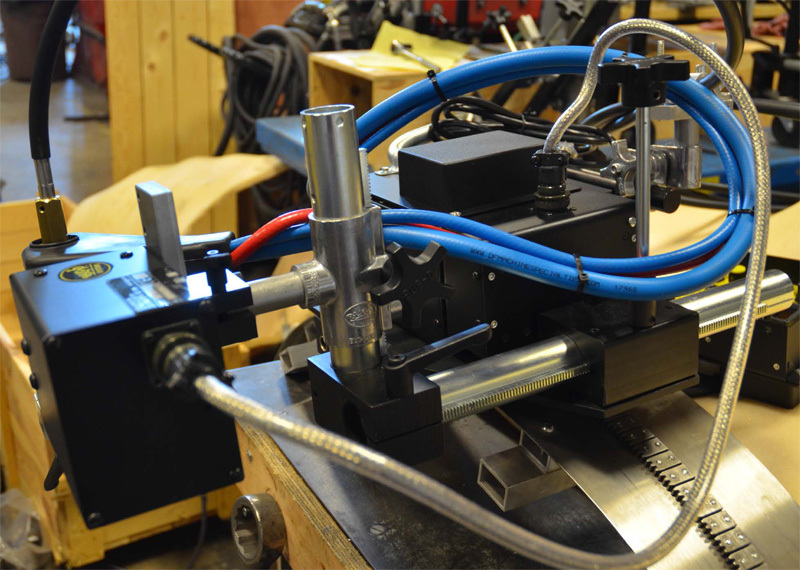 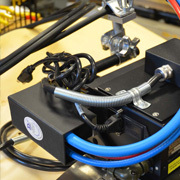 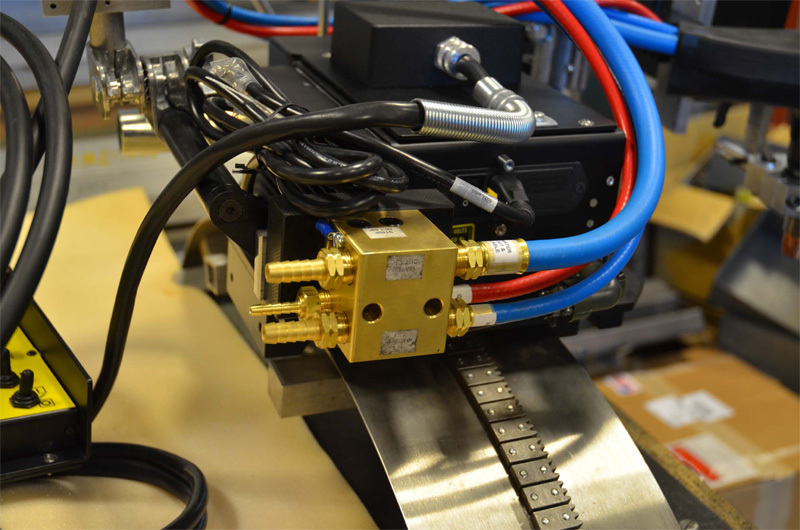 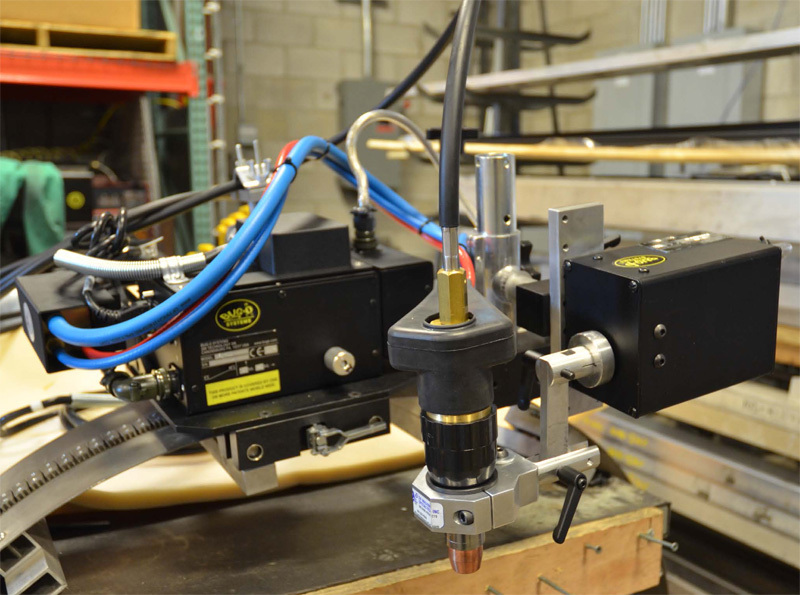 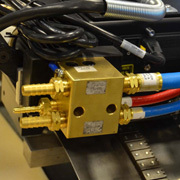 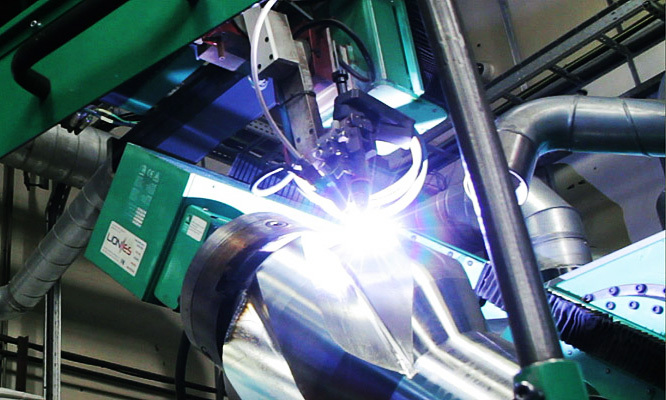 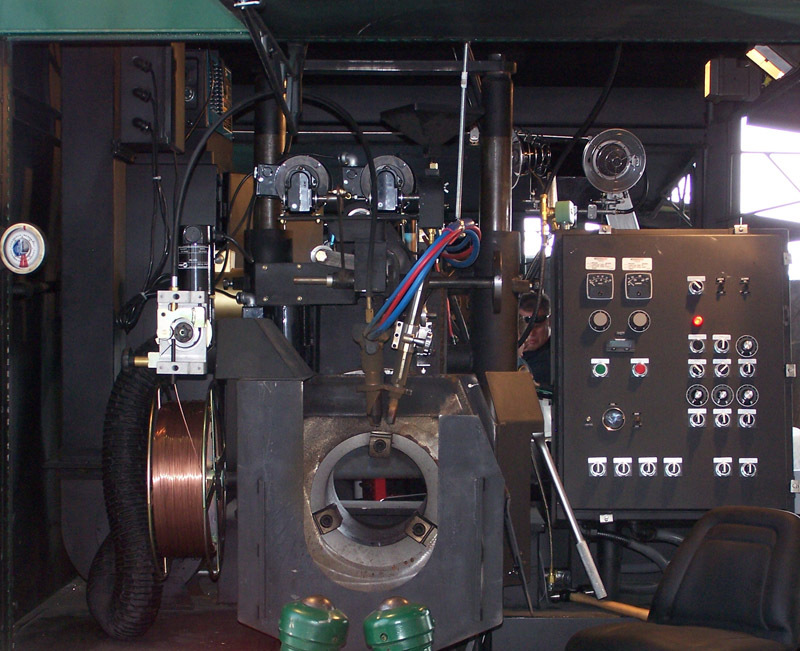 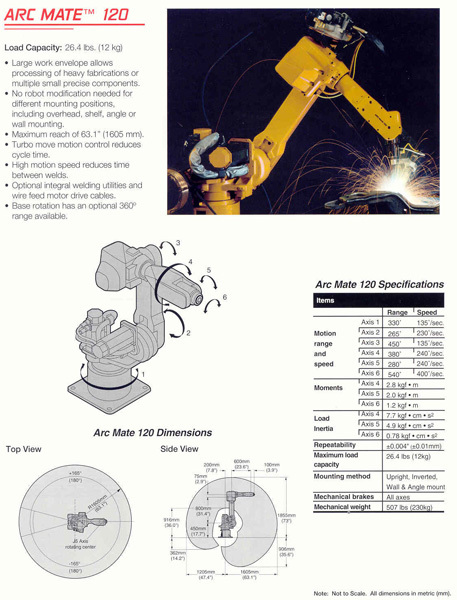 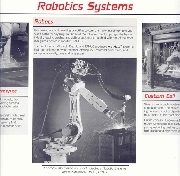 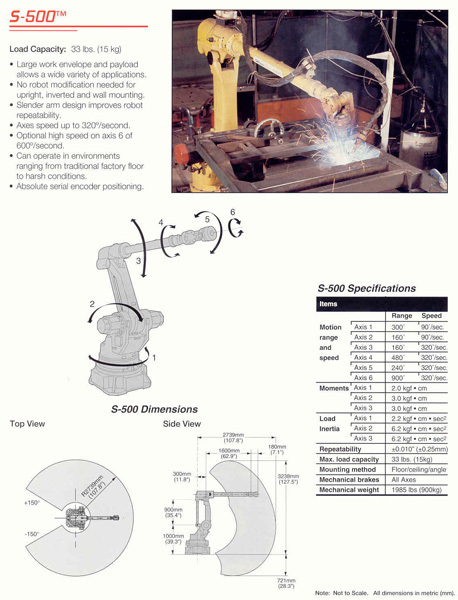 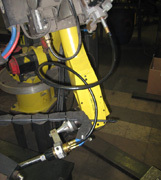 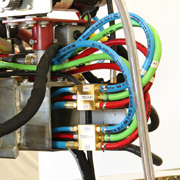 D/F Machine Specialties manufactures MIG & TIG Water/Air-Cooled, Semi-Automatic, Automatic, Robotic Welding Guns and Machine Barrels, Euro-Connectors, Mounting Arms, Brackets, Utility Stations, Tips, Nozzles, Hoses, Liners, Inlets, and Adapters.